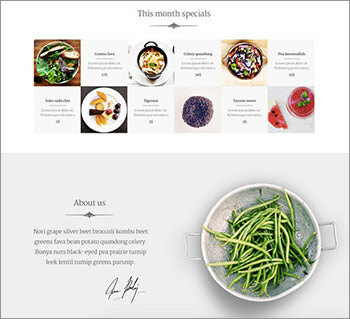 By Hongkiat Lim in Web Design. Updated on March 21, 2019 . 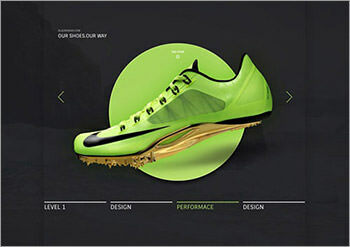 Designing in today’s world has become a very demanding profession. It requires creative thinking, time management, skill enhacement, and not to forget, the ever-so-changing demands of the clients. To keep up with all this, a designer needs to keep a whole arsenal of design resources at his disposal. So before you think of going from website to website in search of design resources, take a look at this ultimate roundup that has everything from fonts, UI Kits, themes, templates, and icons. Also, this list is not final as we will keep updating this post and if anyone among the readers have anything to share, they can send in your recommendations via contact form. Gist Rough Light – A beautiful typeface featuring a striking texture effect, making it perfect for special titles or header. 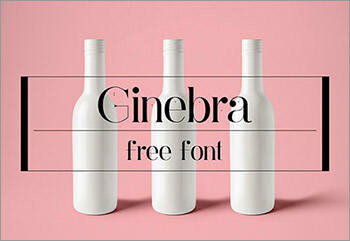 The font is available for free at MyFonts. 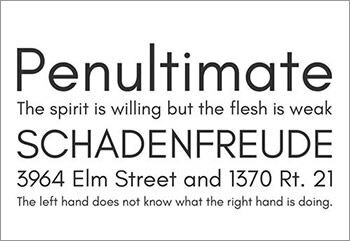 Hans Kendrick – Hans Kendrick is a grotesque typeface with elegant and geometric design, compressed in one weight. 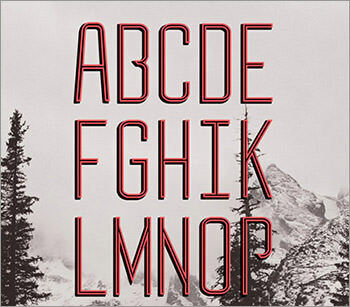 This font is very legible in all sizes but is best suited for large displays. There is support for special characters and numbers. 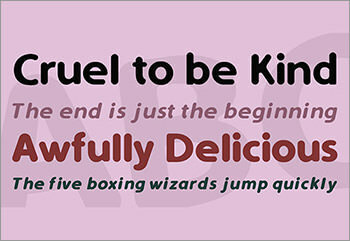 Idealist Sans – Idealist is an extremely readable, rounded typeface that provides a pleasant view when reading body text. Its main feature is its versatility, since it manages Cyrillic, Western and Central European (and their respective special characters) with ease. 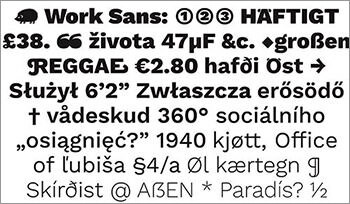 Archivo Narrow Performance – Sometimes you want a font that can just do the job: Be read. Archivo Narrow specializes in this task by providing a compact, highly readable typeface that works perfectly for both digital and printed environments. Peace – Peace is a beautiful bold sans font that features curves carefully crafted, supporting several languages like Baltic, Cyrillic, and Romanian, and providing full glyphs support. Pixe Lute – Pixe Lute is a cool display font that features a urban-like style by counting on a handmade look for its uppercase and numeral characters. 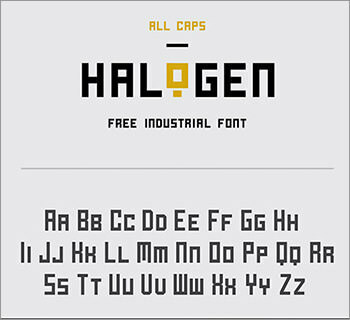 Halogen – Halogen is a cool futuristic and industrial looking typeface that features squared edges in two versions; fine and rough-edged ones. 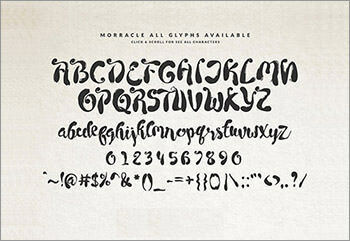 It includes uppercase, small caps, numerals, and glyph characters. 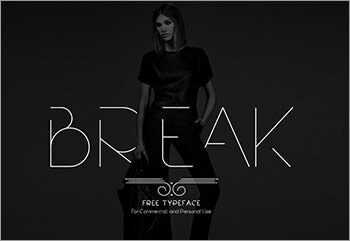 Break: Thin Line Stencil – Break is a typeface that features a stencil style composed of ultra-thin lines in 5 different weights. 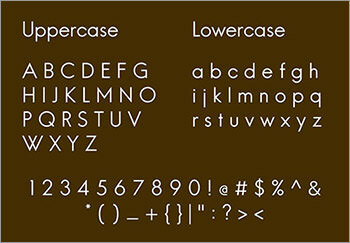 The typeface includes: uppercase, lowercase, numerals, and glyph characters. 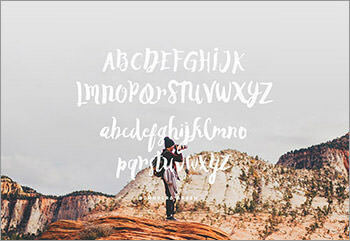 Little Cutie: Brush-Lettered – An artistic and elegant font, featuring beautiful brush-lettered typeface and providing an authentic feel to your projects. 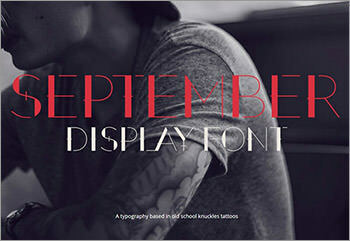 September – September is a display font akin to “old school knuckle tattoos” that feature in 3 different styles: regular, bold, and shadow. Butler – Butler is a typeface that features both serif regular and stencil styles available in 7 different weights each, and comes with a total of 334 characters. Numb3rs – Numb3rs is a numeric-only typeface that features numbers crafted in a circle-based grid featuring very wide and regular curves as well as sharp edges. Argon – Argon is a typeface that comes with uppercase and numeral characters designed with a composition of regular gap and width lines. 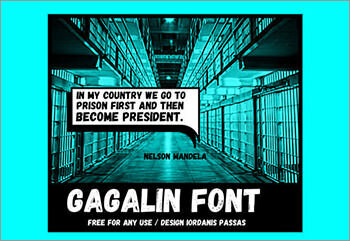 Gagalin – Gagalin is a font that features a nice comic-like style available in uppercase Latin, Cyrillic, and Greek alphabets, as well as numeral and glyph characters. 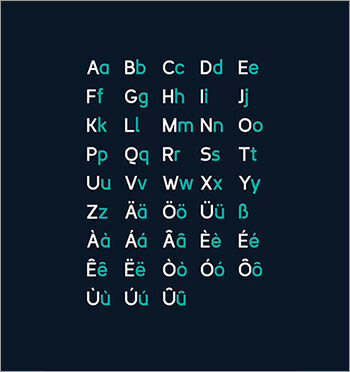 KolikÃÂ¶ – KolikÃÂ¶ is a typeface that is available in three different weights: thin, regular, and bold. Both Latin and Cyrillic alphabets are featured. Ikra Slab – Ikra Slab is a typeface that, besides Latin, supports Cyrillic and Bashkir alphabets in uppercase and lowercase characters, as well as numeral and common glyphs. 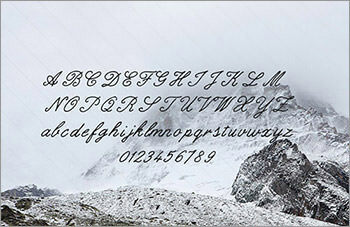 Glacial – Glacial is a narrow font that features a regular width line and two different weights. 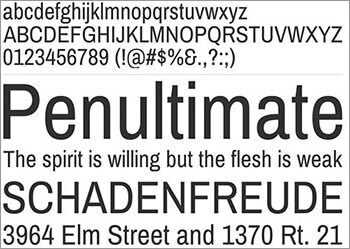 This font is perfectly suitable for newspaper or professional purposes. Morracle – Morracle is a typeface that features a cool hand brushed-like style and even has the particular noisy look that worn out bristles would give. 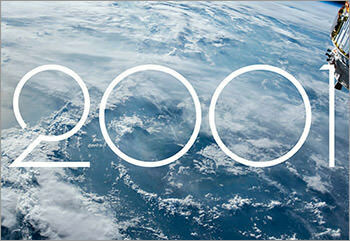 Liquide – A very smooth and round-edged typeface that comes available in uppercase and numeral characters. 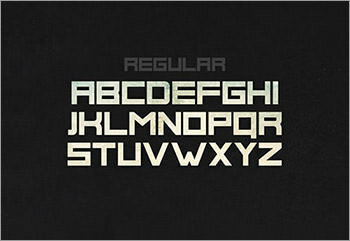 Relancer – Relancer is a typeface that was designed following a single grid made out of regular circles and squares. 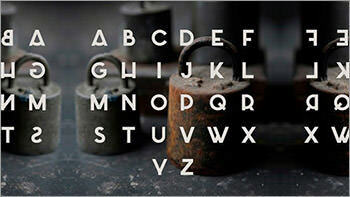 The typeface is in uppercase, and contains a few special characters. 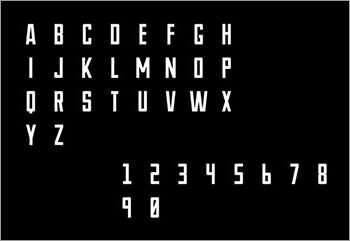 Novu-M – Novu-M is a rather futuristic looking typeface that comes in uppercase characters featuring a narrow and regular width style. 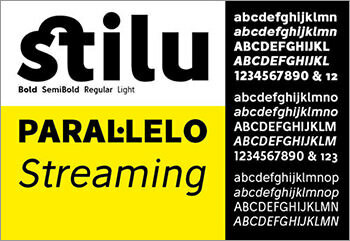 Stilu – Stilu is a sans serif typeface family that comes in four different weights for both regular and oblique styles. It features ligatures, lining, old style figures and more. Anson – Anson is a sans serif font that features straight ends and edges, inspired by a British twin-engine, multi-role aircraft from the World War II. 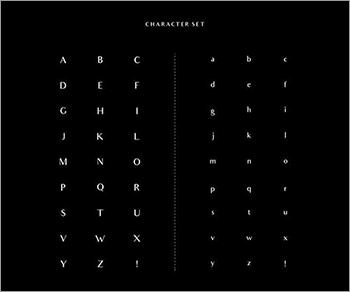 Amsdam – Amsdam is a round typeface that includes a tail in most of its diverse characters in order to give a drop-like look. 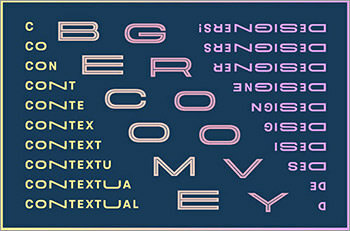 Colorful Shatter – A small set of 10 colorful “shattered text” effect for Photoshop. 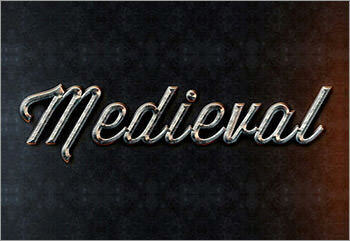 Medieval – Medieval is a text style that gives you that engraved metallic texture suitable for medieval themes. 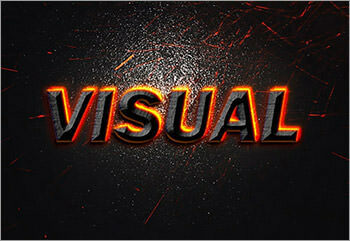 This gives your logo or text the effect in just a minute. 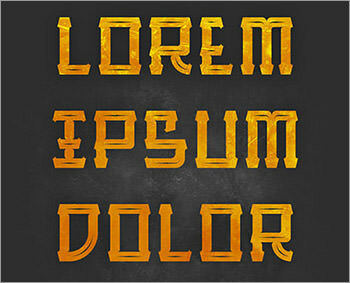 Visual Welding – Fancy your text looking like they are being welded onto a still hot, metallic surface? Comes with glowing ember effect akin to melting iron. 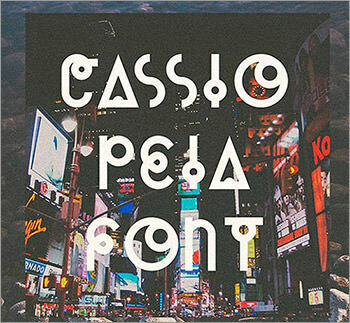 Rissa – Rissa is a stylish, heavyset, thick-brushed handwritten typeface that features super thin gaps. 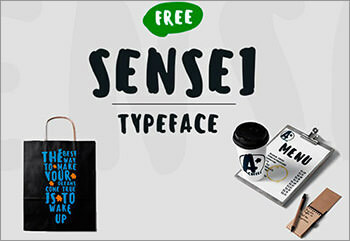 Sensei Handwritten – Sensei is a font that gives off that marker effect. 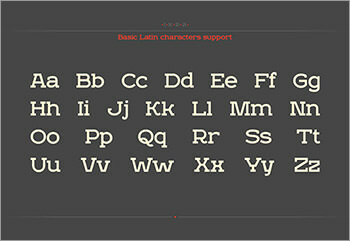 It features both Latin and Russian alphabets in uppercase, as well as numeric and special characters. 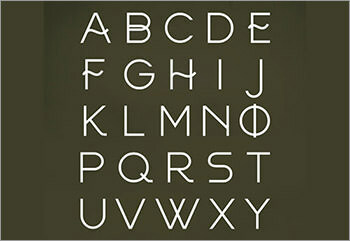 Measure – Measure is quite a diverse typeface designed with a very professional look, narrowed style and squared ends. 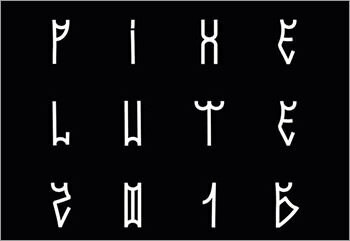 It comes with more than 500 glyphs supporting 40 languages. Jaden – Jaden is a modern typeface that was crafted with regular-width and straight trimmed corner lines. 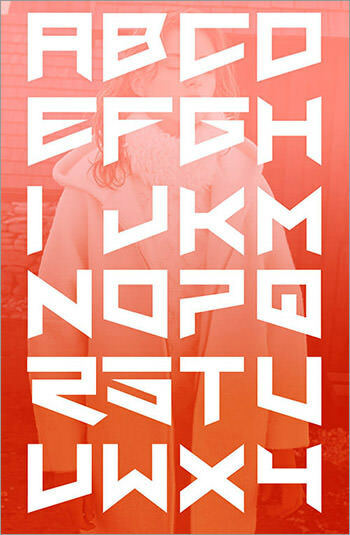 This typeface comes with both numeral and uppercase characters. 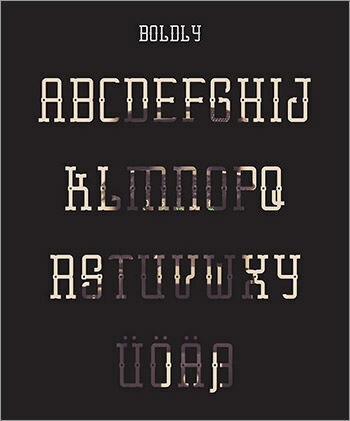 BONN – BONN is a 3 weighted typeface Ã¢ÂÂ light, medium, bold Ã¢ÂÂ with a very geometrical design. It comes in uppercase and numeral characters. 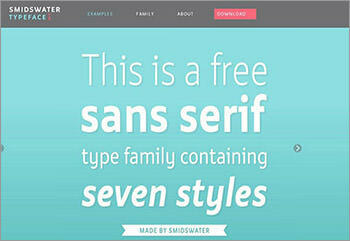 Work-Sans – A sans serif typeface which features uppercase, lowercase, numerals, special characters and several accents. Licensed under SIL Open Font. 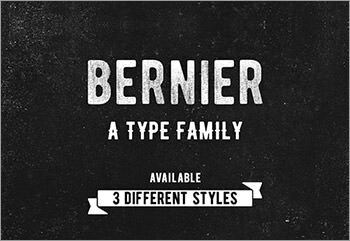 Bernier – A vintage font family available in 3 types; regular distressed and shade. It features uppercase, numerals, at sign and exclamation mark. Crafted by Ryan Pyae under an attribution, non-commercial license. Variane Script – A cursive highly-detailed handwritten-like typeface which features uppercase, lowercase, numerals and special characters. 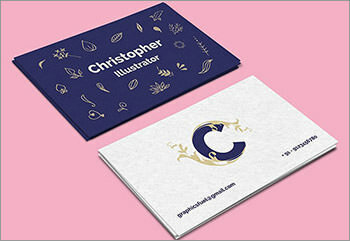 Crafted free for personal use by Work Ins Studio. ETNA – A bold and edge-defined 415-character typeface which features uppercase, lowercase, numerals, special characters, several accents, and Cyrillic and latin extended glyphs. Yarin – A handwritten-like typeface which features narrow and squared-style uppercase, numerals, special characters and Bulgarian alphabet with both normal and bold types. 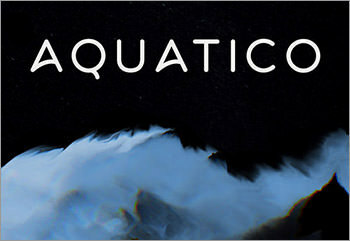 Aquatico – A font inspired in sea creatures and elements featuring four different styles, all of them with rounded edges. Perfect for logo designing and branding projects. 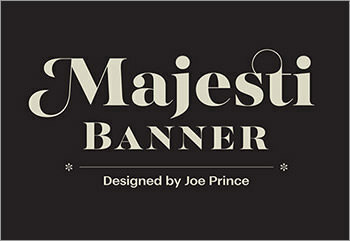 Majesti Banner – An elemental yet highly professional typeface with nice swashes, including text and display versions. 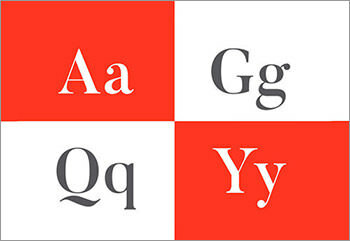 It is available in 5 weights and 2 variations, regular and italic. 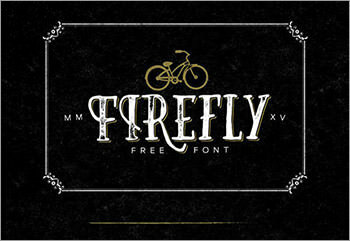 Firefly – Firefly is a free hand-drawn font, including a full set of glyphs as well as a few alternatives,great for quotes, logos, posters, and headlines. 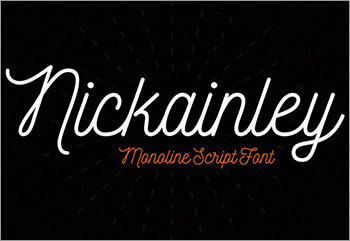 Nickainley – Nickainley is a monoline script typeface, with classic and vintage styles. Rodina – This font is an elegant sans serif, readable in multiple devices, web and printed design. The font comes as OTF, and includes nice ligatures for some characters. 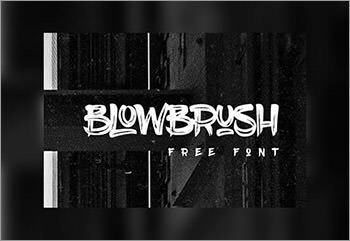 Phage – This dystopic grunge-style font, perfect for those posters and advertising banners with an ominous feel. 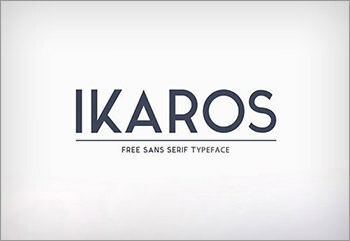 Ikaros – Free for personal and commercial projects, Ikaros is a sharp and elegant sans serif typeface. 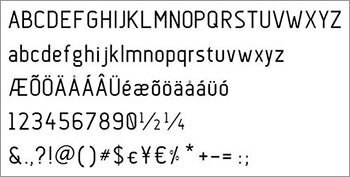 Symbols, numerals, accents and regular uppercase characters are included. 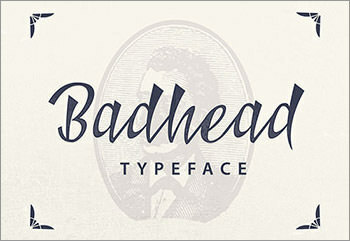 Badhead – Badhead is a classy font that suits logos, T-shirts, greeting cards and other big designs with style and elegance. 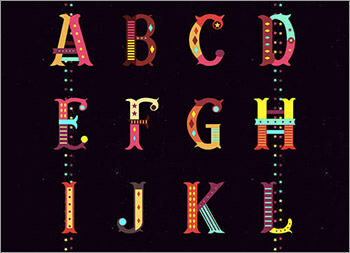 Circo – A beautiful font made to catch attention with lots of color and quirky details. 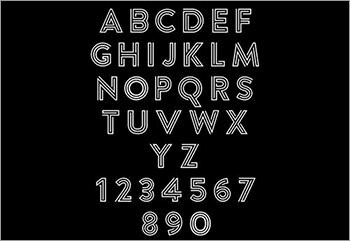 Velodroma – This font features wide and super wide styles that you can combine at will to produce odd, eye-catching pieces of text. 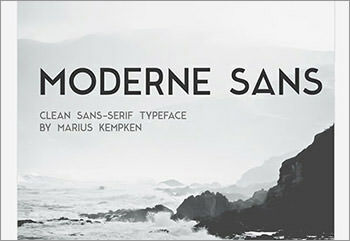 Moderne Sans – A classy typeface inspired by vintage lettering from the 1920. It features good readability and simple twists to make it comfortable and predictable. 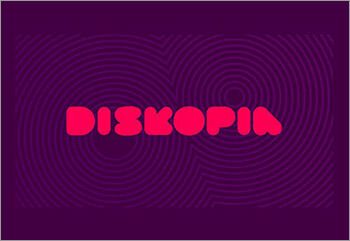 Diskopia – A stylish stencil font inspired by psychedelic times. Due to its somewhat limited legibility, only use it in big sizes. Maxwell – A very versatile font for edgy design work, coming in three different weights to match your needs as much as possible. 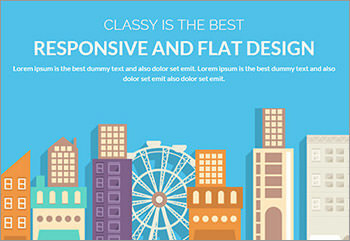 It’s mostly suitable for titles and headlines given its rounded edges and friendly appeal. 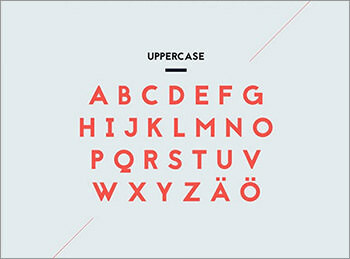 Erster Caps – An uppercase-only font with a very industrial-like font, as if it was forged in metal. It comes in two different styles: regular and bold. 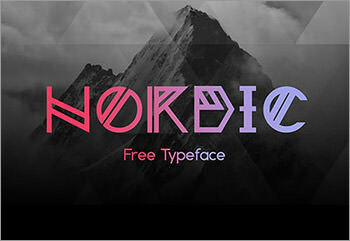 Nordic – Inspired by ancient Norwegian runes, this font provides a mystical look to your titles and headlines. Simply Rounded – A cute rounded font designed to be as readable as possible, making use of simple shapes that will be understood by any user. 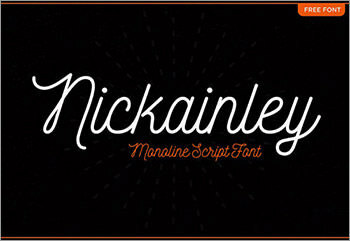 Nickainley – A beautiful handwriting font with a somewhat old school feel to it. 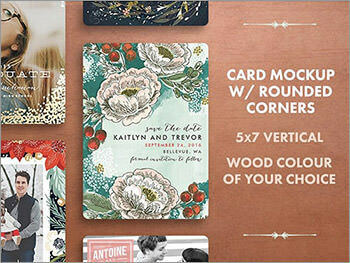 It can be of great use for more elegant designs such as wedding cards, labels, badges, etc. 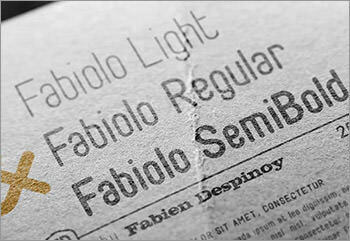 Fabiolo – Fabiolo is a beautiful sans serif font that aims to provide a subtle and elegant appearance, suitable for many types of design. 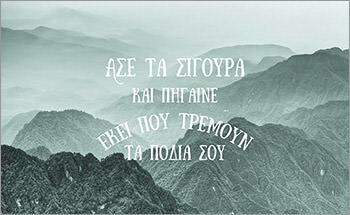 Tauri – A subtle sans serif font, ideal for medium and small sizes given its high clarity. 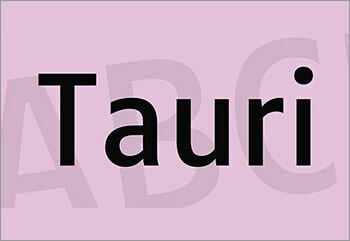 Tauri is meant to be enjoyed slowly, showing its qualities little by little as it is used. 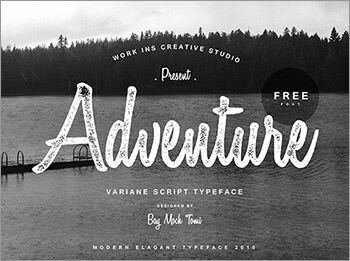 Barque – Barque is a font most suited for big sizes, titles and posters. You’re free to use it in both personal and commercial projects. 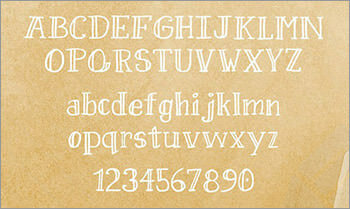 Sweet Pineapple – Handwritten fonts give a much friendlier appeal to your projects. Sweet Pineapple aims to achieve just that. Sunday – Sunday captures the feeling of a relaxed day under perfect weather. 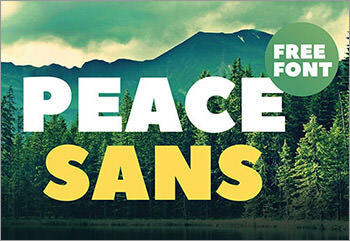 Calm and easy going, use this all-caps font for your most laid-back designs. 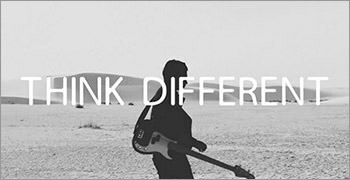 Bakersfield – Bakersfield is an entire geometric font family with superb legibility in both printed and web formats. There’s two weights available for free. 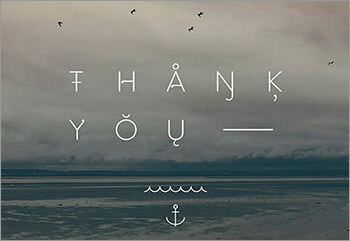 Gilded Hand – A beautiful font that puts elegance and a sweet handwritten feel to your designs. Use it in commercial and personal projects, for free. 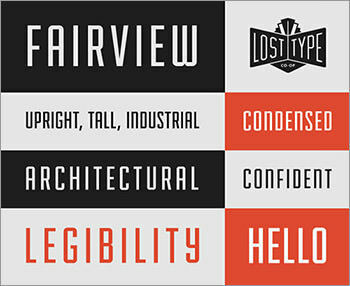 Fairview – A consensed, industrial sans-serif typeface including two different variations. You can get a personal license for free. Lovelo – A cool font with playful shapes and a lovely double line construction when written in all caps. Three weights are available for nothing. 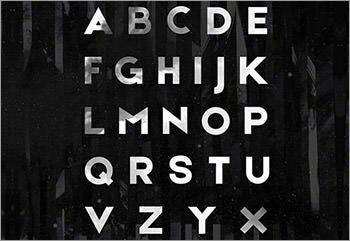 De La Fuente – Alex De La Fuente has created this typeface carrying his name. It’s meant for text under 24 pt, so keep that in mind when applying it. 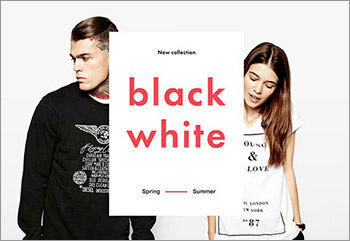 Nero – A super edgy free font designed for big sizes. It gathers attention quite a bit, featuring violent shapes and curves. 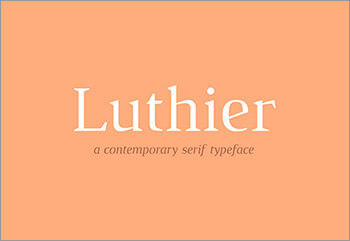 Luthier – An adaptable serif typeface that works well with body texts, but holds enough personality to be interesting in headlines. Smidswater – A fancy and very legible font family comprising of a light weight to bold font as well as condensed, italics and various combinations. 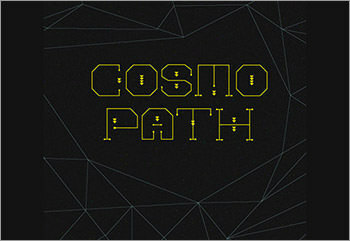 Cassiopeia – A quirky and somewhat esoteric typeface inspired by geometric forms, constellations and PokÃÂ©mons. 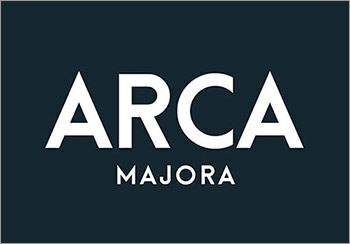 ARCA MAJORA – A complete, all caps font featuring a good amount of accents for languages other than English. 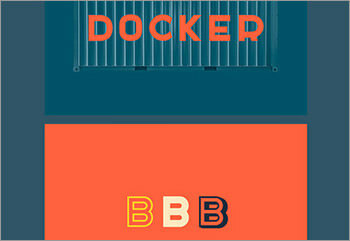 Docker – A very interesting font for headlines and big sizes in general. Great for an easy 3D effect. 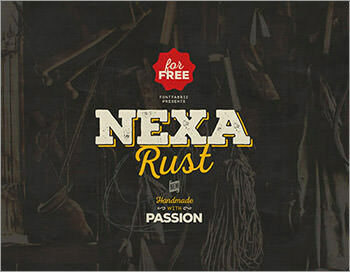 Nexa Rust – A versatile font system featuring various sub-families: Slab, sans, handmade, script and more! 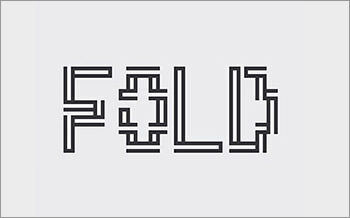 Fold – A beautiful font that sacrifices readability for a sleek appearance. Its pixel-like look is definitely the major feature. 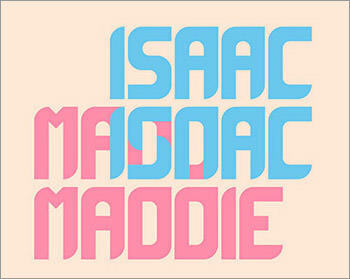 Maddac – An attractive bold font from Isaac Taracks’ Behance account. 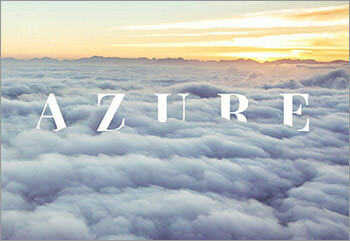 Great for titles and headers on big sizes. 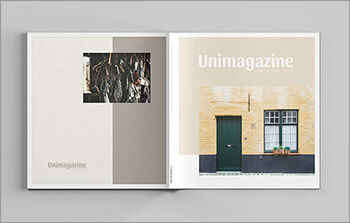 Squared magazine – A simple but photorealistic mockup of a squared magazine layout on a clean background. Available in Photoshop PSD files. 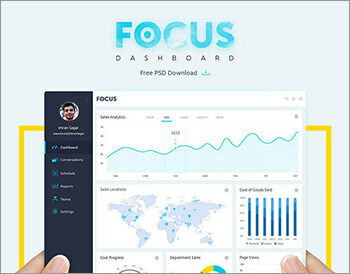 FokiraDesh – FokiraDesh is a dashboard UI template in PSD format that features a nice flat, three-panel UI design. It also contains plenty of shortcodes to diversify your options. Eco – Eco is a web UI kit that features a dark card style featuring red and green components, all of them in a seamless and smooth design. Dink – Dink is a UI kit that comes with hundreds of components and UI compositions across 6 different categories neatly organized and consistent. 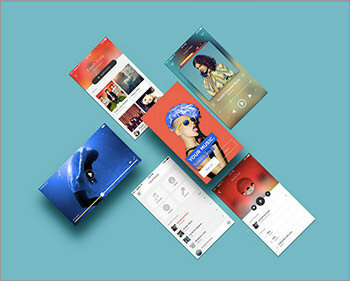 Mobile app material design – A user interface kit that features a nice material design low poly and that comes in PSD format, made out of fully scalable vector elements. Wonder pastel gradient – Wonder is a mobile app UI kit that features a gradient scheme with pastel tones available in PSD format with 10 screen compositions in separate files. Mobile app screens – Here is a cool mockup scenario for showcasing of mobile application screenshots featuring 6 layered screen placeholders in several strategic positions. 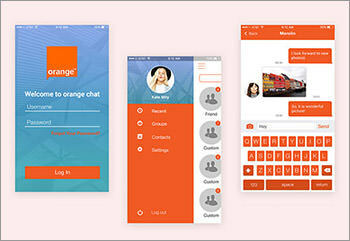 Orange Messenger App – A cool flat UI kit that featuresan Orange scheme. 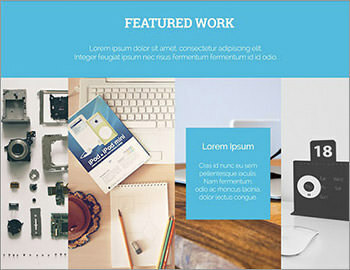 It comes with 6 screen compositions in PSD format for contacts list, menu, login screen, and more. Materialui.co – materialui.co is a web tool for designers that feature material design colors, icons and flat UI colors collections available for direct download or color code copy-to-clipboard. 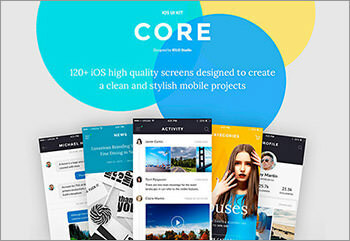 Core – CORE UI Kit comes with 12 fully editable high-quality screens of the 9 most common categories. This kit comes in PSD format including artboards to work with Adobe PS CC 2015. U.S. Web Design Standards – An open source project that aims to collect and curate style guidelines used by US government sites. Stark – Stark is a modern web UI Kit that features a flat style with a soft and acid color palette. It consists 200 components, 90 elements, and 10 categories. DYK Collection – DYK is a collection of 13 homepage variations featuring a resolution of 1920ÃÂ10000 pixel for website UI kit, perfectly suitable for blogging sites. 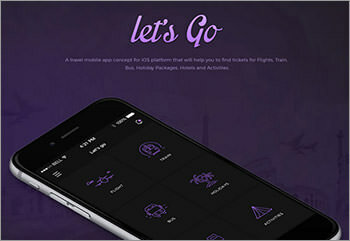 Let’s Go Travel – Let’s Go is an iOS UI concept specifically designed for travel- and tourism-related applications featuring line icons and a flat minimal style. Elegant – An iOS 9 UI Kit for Sketch featuring fully vector crafted UI elements such as navigation bars, calendars, status bars, and some screens such as menu, home, lock and Siri. This pack includes devices, icons and keyboard. 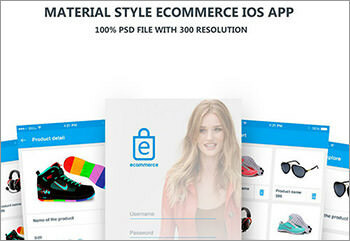 Material Design ECommerce – A material design styled iOS app UI kit for eCommerce. 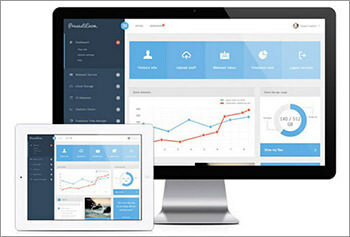 It includes UI screens for product customization, shopping cart, product showcase, account login, and more. Available in PSD and AI formats. 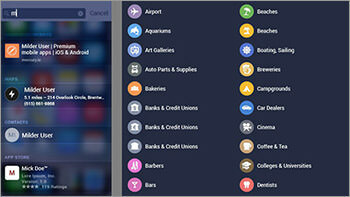 iOS 9 UI Screens – If you ever need a UI kit for iOS 9, this is the spot to get it. The kit boasts system screens, notifications, navigation and tab bars, keyboards, modals, pickers, action sheets and many more. Available in 3 sizes for the iPhone 5, 6 and 6s. 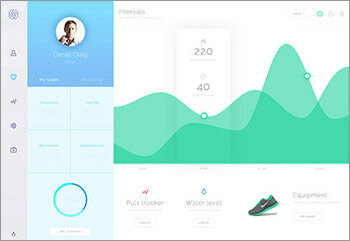 Minimal Design – A Sketch UI Kit in flat minimal design with smoothly rounded edge buttons, switch, radio buttons, sliders, and more. 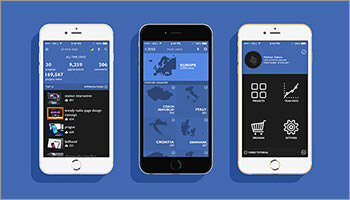 Azure – A web UI kit quite suitable for e-Commerce and news reading which features sliders, video players, product cards, story card, among others. Crafted by Yolqin Alimov. 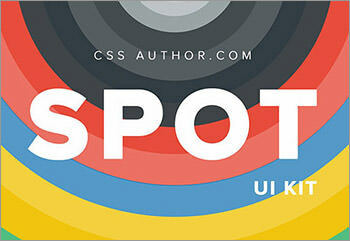 Spot – A compelling user interface pack with all the required elements for creating a complete website in flat style. 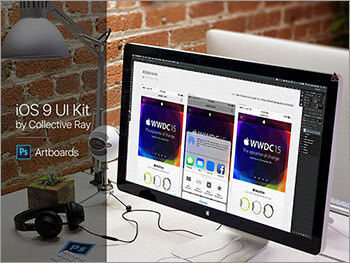 Sketch iOS 9 – An accurate iOS 9 user interface kit based on the beta release. Made for Sketch, it includes screens for Settings, photos, Messages, Contacts, Music, Safari and Email. 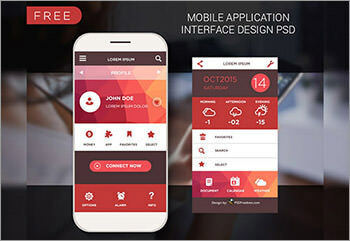 To-Do App – A versatile Photoshop and Sketch to-do app user interface kit, totally free. This is a huge set, with 130 screens and countless design elements ready to edit and use. 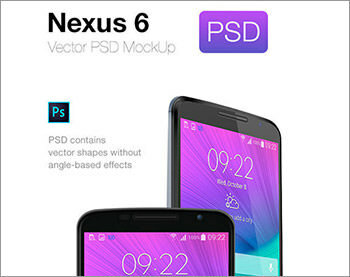 PSD iOS 9 – A Photoshop user interface kit for iOS 9. The kit is based on the iOS 9 beta release presented not long ago, with multiple design elements and a totally editable vector. 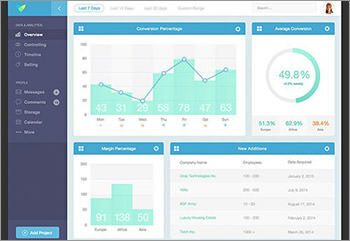 Data Analytics Dashboard – A flat dashboard design with line and radial graphs to analyze information about traffic, ads or anything else. 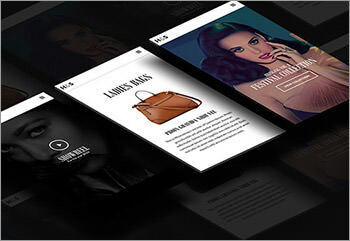 Inter Shop – A concept design for an online shop in Photoshop format. 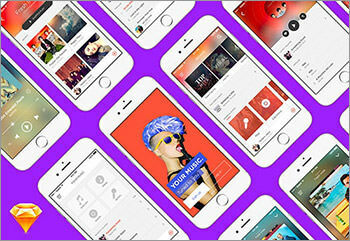 Music App – A fancy set of UI elements for you to make your very own music app. Editable with Sketch. Simple Products Carousel – A neat carousel design that looks simple and clean, but still includes blur and shadow effects for added elegance. Fully editable in Photoshop. 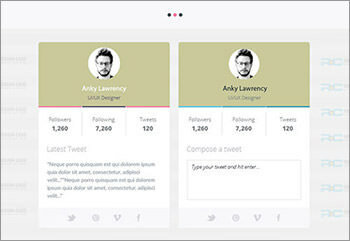 Mini UI Kit – An improved version of a mini UI kit by Dribbble user Ahmed. Available in PSD format. EventRay – A complete set of user interface elements with an interesting dark color palette, offering charts, menus, calendar and more. Pausrr – A beautiful set of user interface elements available for the growing community of Sketch designers. 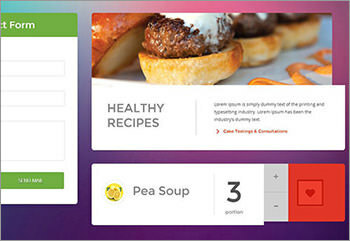 There’s a bit of everything including buttons, website layouts, icons and more, all with bold colors and shapes. 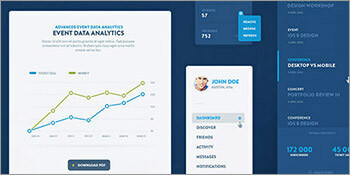 Dashboard – Create effective admin or user panels with pretty much all the elements you could ever need. It even has a neat Santa icon for you. 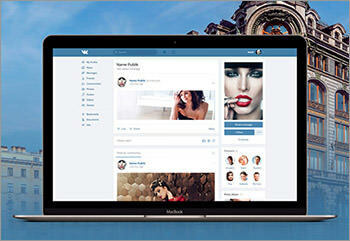 Profile Design – A beautiful user interface design for a profile on social networks. 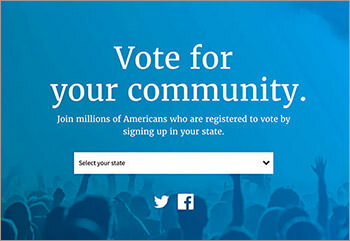 The transparency in the background integrates quite well with any website. 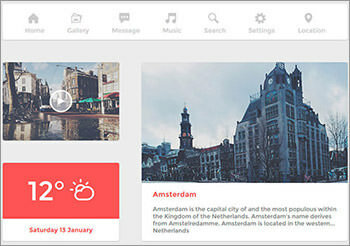 The Amsterdam – A beautiful UI kit implemented with pure code. 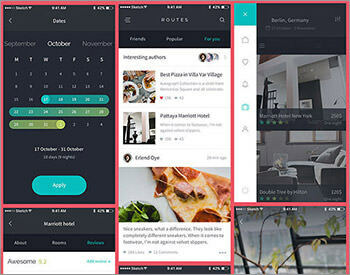 It features a neat color palette and multiple icons, creating a very pleasant experience. 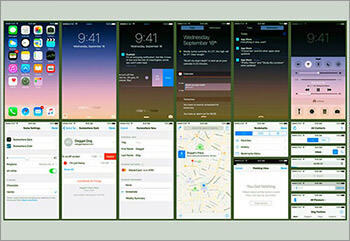 iOS 8 GUI Pack – A big bundle of interface design elements aimed at iOS 8, Apple’s latest mobile Operating System. Free for personal or commercial usage. 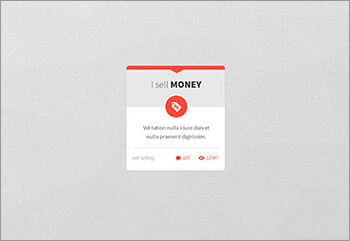 Flat Web UI Kit PSD – An interesting collection of Web elements for your next project. 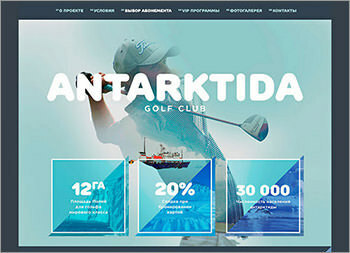 The set contains elements for all types of websites in a very particular color palette, which you can always change from the original PSD file. 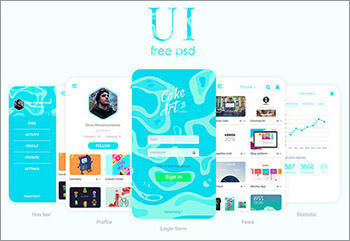 Simple PSD UI Kit – A user interface bundle with a very simple look, but a comprehensive collection of elements for your next design endeavor. 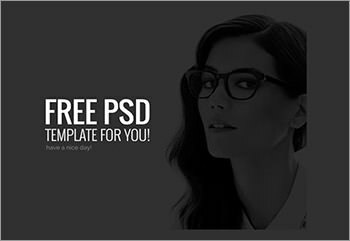 Editable PSD file available for free. 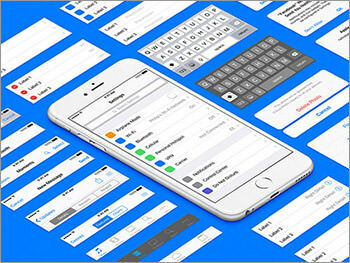 Sketch Wireframe Kit for iPhone – Starting your app designs in the right way is vital for a successful process. 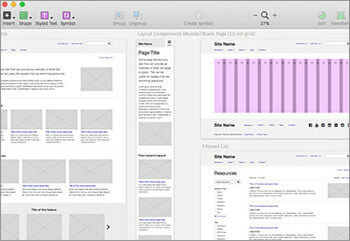 This wireframing kit will help you achieve just that. 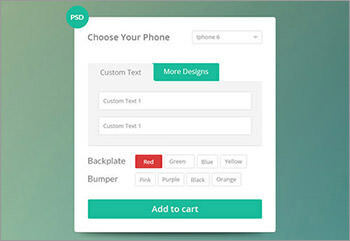 Mobile UI Kit – The perfect thing to assist in your mobile app development projects. 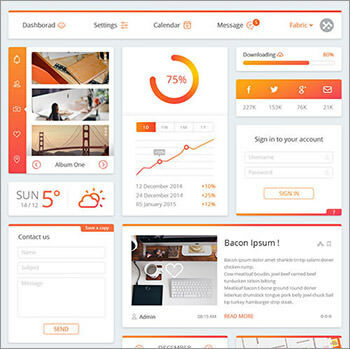 This mobile user interface contains elements for many different purposes such as a login screen, calendar, music player and maps. 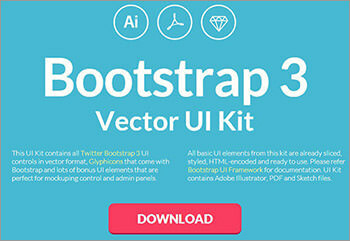 Bootstrap 3 Vector UI Kit – This UI kit has all of the interface elements included in Bootstrap 3, provided in vector format. Glyphicons are also included, as well as other additional items. 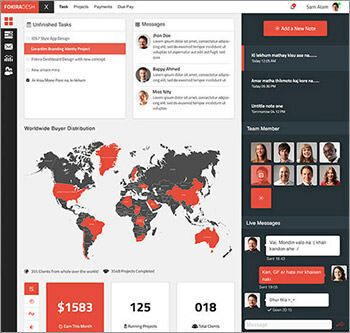 Ideal for mock-ups of control and admin panels. 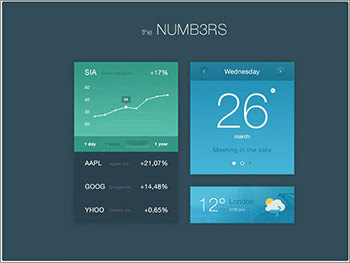 Numbers UI – This UI focuses mainly on charts, graphs and numerical data. 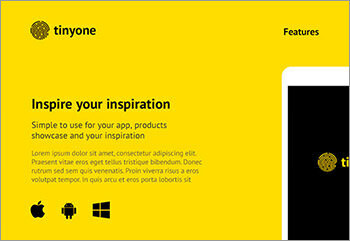 It can be a great tool for creating edgy-looking mobile apps and designs. 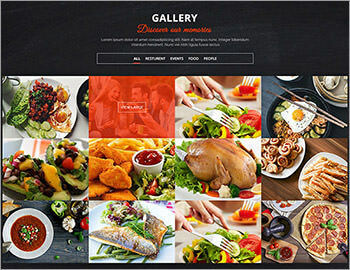 Metro Food UI Kit – This set of colorful flat elements will allow you to put together a food-oriented website with widgets, pictures and icons. 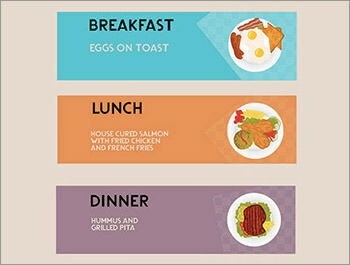 Perfect for restaurants or food blogs. 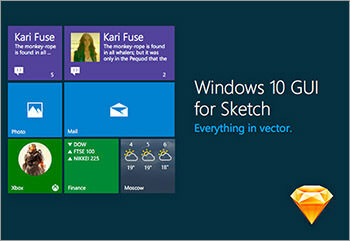 Windows 10 Vector Sketch UI Kit – This is a neatly crafted UI kit for Windows 10 in Sketch format that comes with all of its elements in ready-to-use vector. 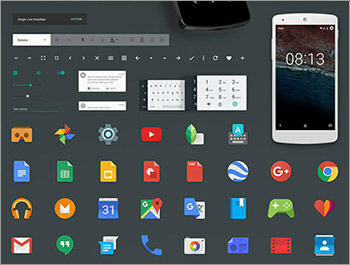 Full Android M Sketch UI Kit – A kit featuring Android M User Interface elements containing icons, and screens in Sketch format. You’ll find lock screens, keyboards, status bar, notifications sections, and more. 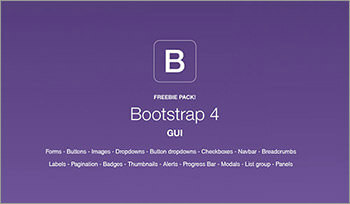 Illustrator GUI Bootstrap 4 Elements Pack – A quite complete pack of Bootstrap 4 GUI elements available in vector AI format containing elements from 17 different categories completely editable and scalable. 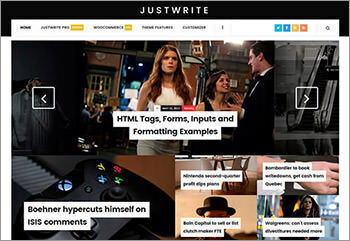 FastNews – FastNews is a news and magazine theme with a minimal, yet professional look. It is built with HTML5 and CSS3 to provide full responsiveness and contains diverse features such as social links support and a featured post slider. 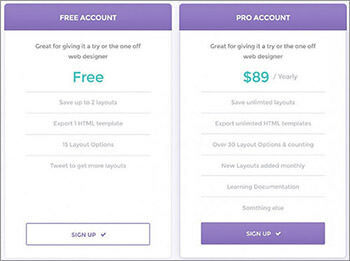 There are 2 versions available: A freebie and a paid version that gives you access to extra features. 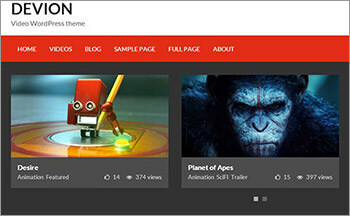 Devion – Devion is a fantastic theme made with Bootstrap 3, especially suitable for video sharing websites. Though it needs some plugins to fulfill this purpose, the setup is a breeze, and the result is amazing. 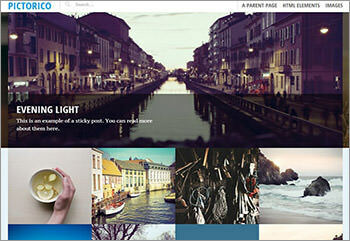 Pictorico – Pictorico is a single column portfolio theme with a grid to showcase your best artwork. 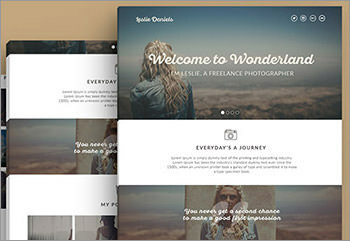 It comes with features such as a post slider and big featured images, making this theme ideal for photo blogging or photography portfolios. 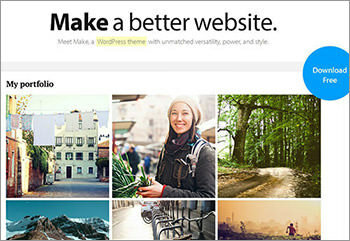 Make – Make is a premium theme with a free version; a minimal yet very powerful idea that is almost a theme builder in itself. 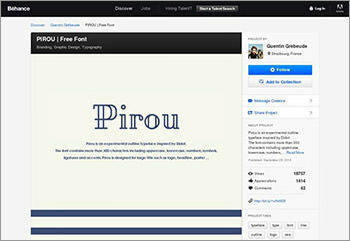 The free version comes with valuable features like Google fonts, layout options, Jetpack support and many more. 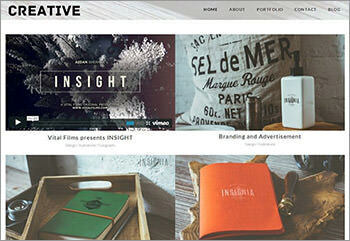 Creative – A minimal theme catering for creative agencies, it is made with mobile interactions in mind. 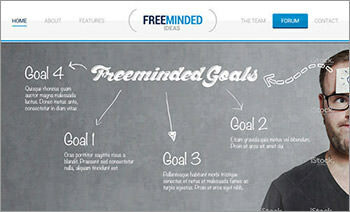 The theme comes with features like Search Engine Optimization and cross-browser compatibility. Stylish Portfolio – Stylish portfolio is a single page portfolio theme packed with canvas navigation and some other features such as smooth scrolling, Font Awesome integration, Google Maps footer and more. It was released under the Apache 2.0 license. 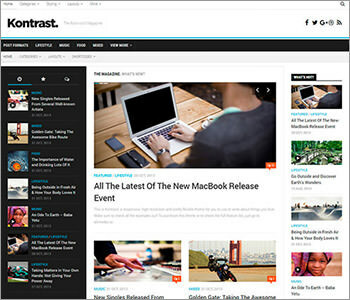 Kontrast – An amazing WordPress theme for magazine websites, featuring a neatly and carefully designed layout for a great user experience featuring several size thumbnails and full responsiveness. Zoner Lite – A simple WordPress theme for real estate businesses, designed with Bootstrap that features parallax effects for its header slider, and four main pages; home, blog, documentation, and support. Here’s the demo. 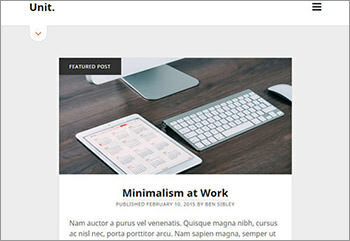 Drento – Dreanto is a minimal and clean style blogging theme for WordPress that features a cool right sidebar, off-canvas menu buttons, big thumbnails with cool hover animation, and more. There’s a free and a pro version. Check out the demo here. 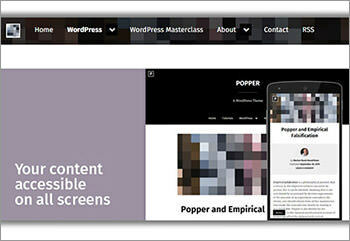 Popper – Popper is a clean WordPress Theme that was built based on accessibility, and mobile and touch friendliness, thus suitable for multiple purposes. Kotha – Kotha is a responsive blog WordPress theme that features smooth scrolling and a nice clean style designed with a single column layout and sidebar widgets. Unit – Unit is a simple and clean single column container layout that features medium-sized thumbnails for its posts, as well as a retractable top menu that replaces the typical sidebar menu. 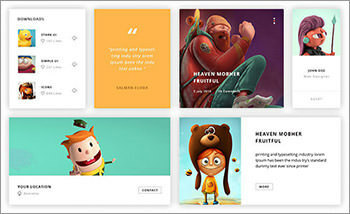 Maker – Maker is a clean portfolio WordPress Theme that features several thumbnail sizes, a 9-image gallery as a home page and several collateral pages with different layouts. 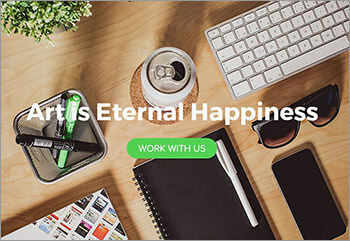 BeOnePage – BeOnePage is a gold & black schemed theme featured by the latest web technologies concepts such as video background, parallax effects, top horizontal scrolling/progress bar, hover effects, and more. 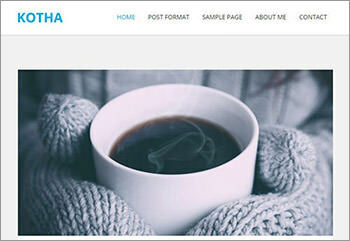 Iwata – Iwata is a nice WordPress theme for blogging purposes. 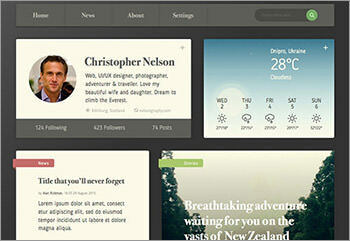 It features a clean and flat style, seamless left sidebar, top navigation bar, and posts pagination. 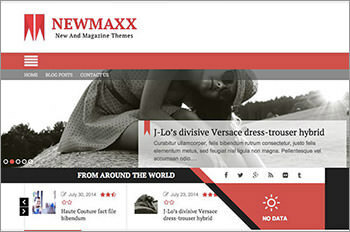 New Maxx – New Maxx is a WordPress theme designed for multiple purposes that comes with eCommerce features as well as several size containers and sidebars. 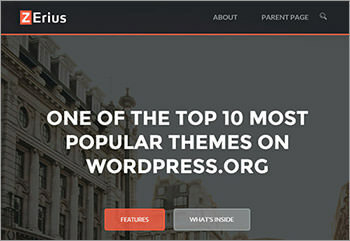 Zerius – Zerius is a WordPress theme that has nice parallax effects for smooth navigation, as well as wooCommerce-ready features and custom blocks. 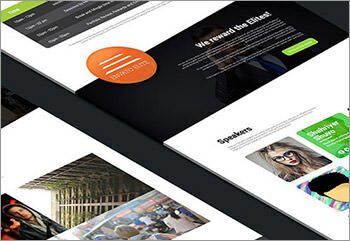 ClassyLite – ClassyLite is a business template that comes ready-to-use with both Bootstrap and WordPress featuring a nice flat design and multi-weight line icons. 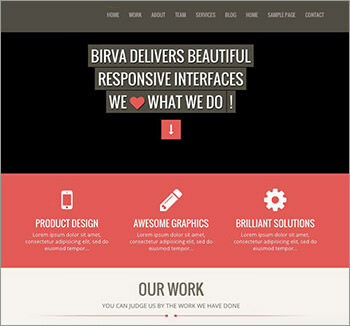 Birva – Briva is a one-page WordPress theme that comes with a static top navigation bar, as well as parallax effect in some sections along the layout, on top of rotating, fading, and other hover effects. 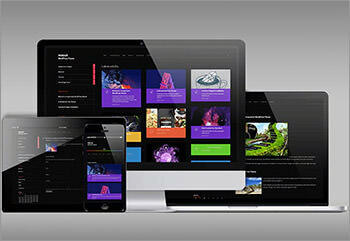 MetroX – MetroX is a dark-schemed WordPress theme that features a left-side navigation bar for different pages. 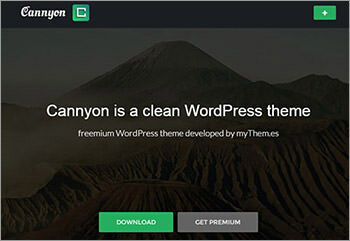 Cannyon – Cannyon is a clean WordPress theme suitable for multiple purposes. 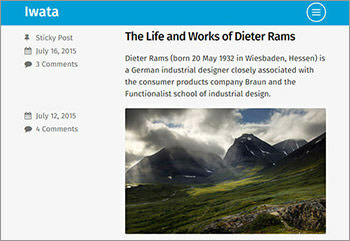 It features a full-width header, a single column post section and a right-side bar. 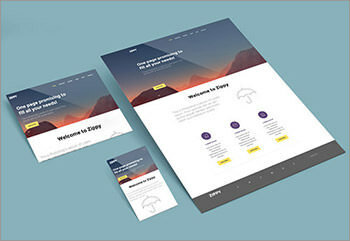 Tography Lite – Topography Lite is a WordPress theme that features CSS fade in and hover animations for its thumbnail-based layout and unlimited potential for portfolio items. 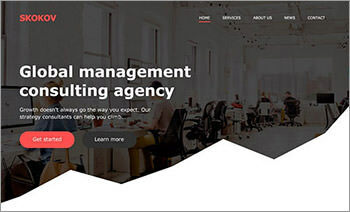 Divina Landing Page – Divina is a WordPress theme that has a rather clean and minimal style yet has hover responsive features for post images. It comes with three main sections, home, portfolio and contact. Socialcrumbs – A social activity feed WordPress theme which features infinite scrolling, date, category and activity filtering, random post button, among others. It’s licensed under MIT. 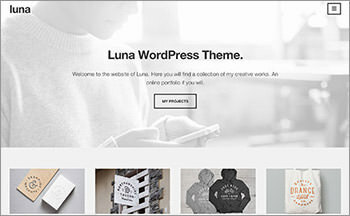 Luna – A free WordPress theme quite suitable for e-Commerce. It is very clean and minimal, featuring unlimited color options, google fonts selector, full responsiveness, and cross-browser support. Created by Modern Themes. 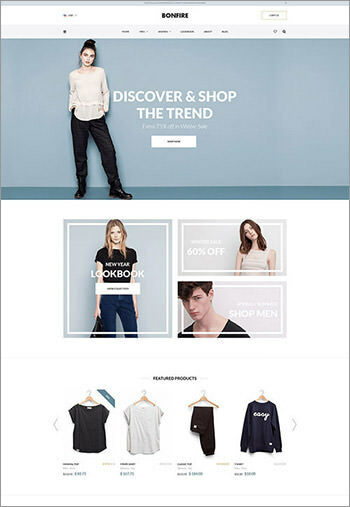 Shopera – A shopping website WordPress template fully responsive completely suitable for e-Commerce. It features my account, shop, features, and contact us sections and also an always visible search and shopping cart icon. Designed by Cohhe. 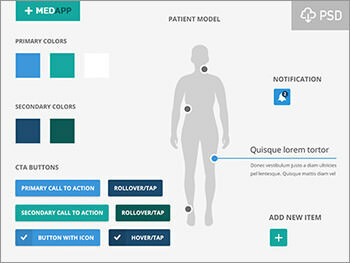 MedApp – This set consists of a medical app element kit, composed of buttons, color palette, notification icon, and a sketch of the human body. The elements are fully editable. Leslie – Leslie is a PSD portfolio page for photographers composed of tons of editable design elements, and comes with a portfolio area, blog and big featured header. 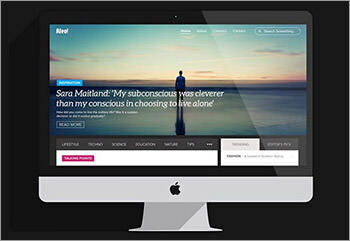 Readit – Readit is a blogging theme for WordPress sites focused in readability. 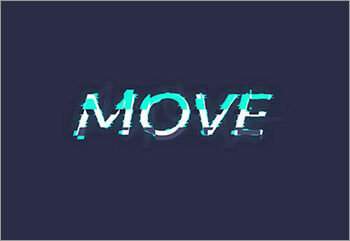 It is mobile ready and animated thanks to transitions effects. 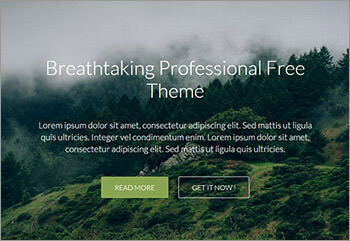 Ambition – A free theme focused on nature, totally responsive and designed to be friendly. It can be used for businesses and small companies, it has beautiful icons and it’s GLPv2 licensed. 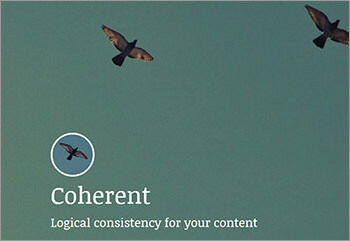 Coherent – For writers and regular bloggers, Coherent is a compelling theme that combines minimalism with a stable structure. 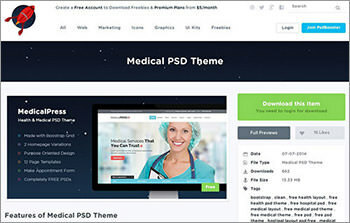 The theme can be downloaded freely (GPLv2 license). Quest – An awesome WordPress theme for adventurers and travellers eager to share their experiences. Also, you don’t need to know how to code thanks to its drag and drop page builder. 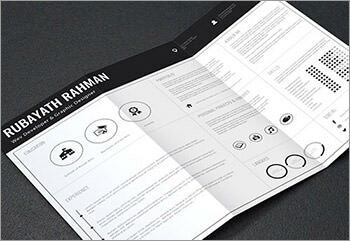 Resume Template – Flat style is not only for templates and apps; printed projects can make good use of it too. The following is a flat style resume template in a printable fashion that you can use to present yourself and your work when looking for a job. 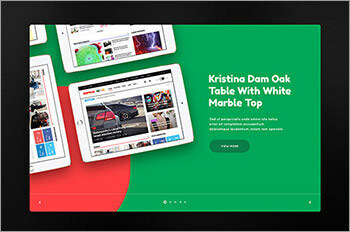 Solid – Solid is a flat Bootstrap 3-powered HTML template made for freelancers and creative agency portfolios. 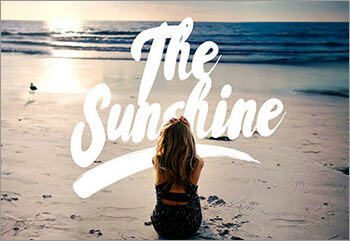 It’s been created with some outstanding features like masonry, PrettyPhoto lightbox, Font Awesome and more. Senkadagala – Named after a Sri Lanka city, Senkadagala is a minimal, single page template made for creative agency landing pages. 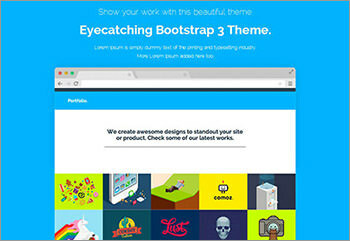 It’s built on Bootstrap 3 and carries complete responsiveness. 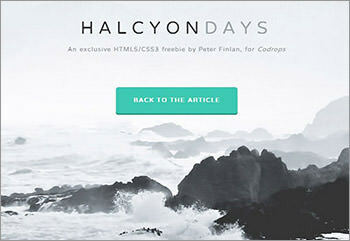 Halcyon Day – A minimal, yet impressive creative portfolio template made by Codrops. Mainly intended for startups and portfolios, it is built with some of the latest technologies including HTML5 and CSS3 and is completely retina-ready. 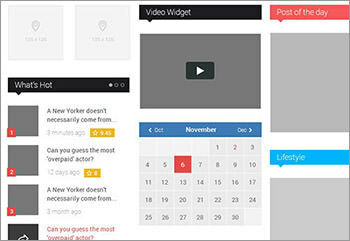 Additionally, it makes use of utilities such as animate.css, Flex Slider and jQuery Waypoints. 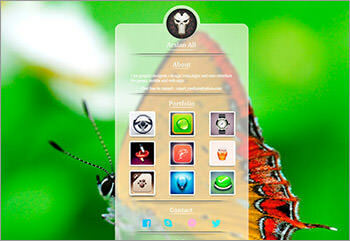 Ophiuchu – Ophiuchus is a HTML5 and CSS3 single page template. 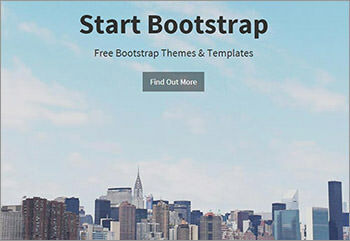 Its creator worked under the Bootstrap 3 framework to create it and made it completely responsive. 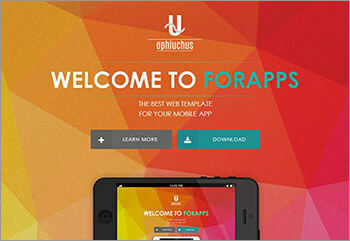 This template is ideal for use in mobile apps and landing pages. 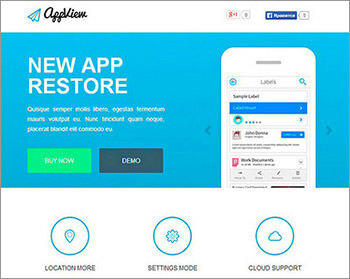 AppView – AppView is a lightweight, flat style CSS template made for mobile app showcasing, or even landing pages to exhibit any product or service. 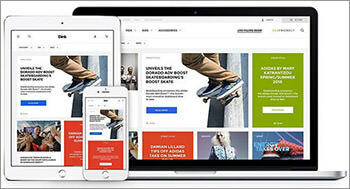 We + Coming – We + Coming is another HTML template for personal and commercial uses with exceptional quality. 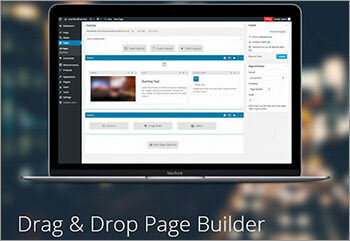 Built with slider and video background capabilities, it is powered with Bootstrap and is completely responsive. 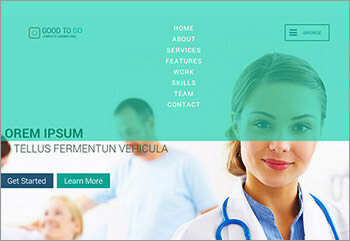 Good to Go – Good to Go is a single page Bootstrap template that can be used in all medical related sites such as hospitals, medical schools, health blogs and even chemistry labs. 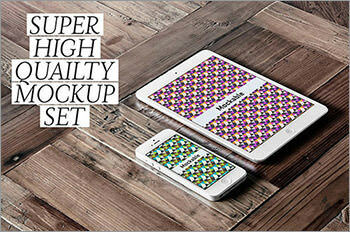 It is responsive but at the same time, it comes in 3 versions Ã¢ÂÂ web, tablet and mobile. 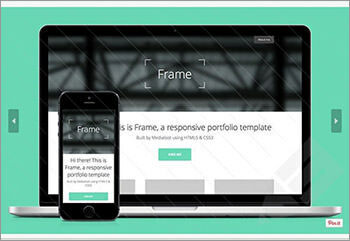 Frame – Frame is a simple HTML5 professional looking template that can be used for both personal and commercial projects, at the expense of a small attribution to Medialoot. 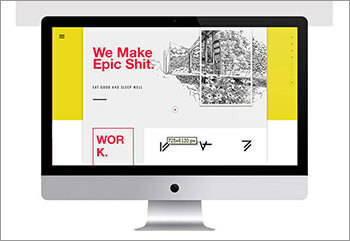 This template is fully responsive and packed with other features for portfolio websites. 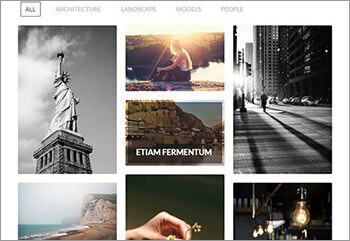 Magnetic – A pixel perfect web template made for photographers, graphic designers and all kind of visual artists. 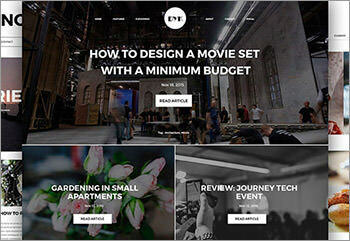 The clean, modern layout draws attention to the content and eliminates distractions. PrasastiEnom – A flat-styled PSD admin template so you can get rid of that old look when managing your site and say hello to a more modern environment. 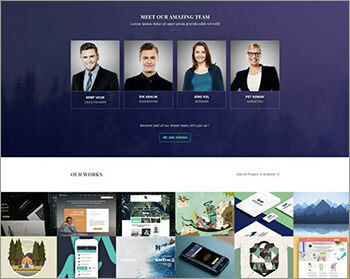 Sharp – A sharp PSD template for your next website styling big pictures. 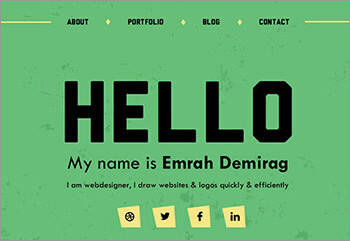 It comes with a modern, vibrant green color palette and is well contrasted with a dark background. Mandala Logos – An amazing set of 9 Mandala style logos/badges that come in 3 separate PSD files featuring color, black and white, and dark background colors. Panshi: Restaurant & Cafe – Panshi is a neatly crafted one-page template for restaurants featuring a perfect combination of open sans and great vibes fonts as well as professionally designed menus and galleries. 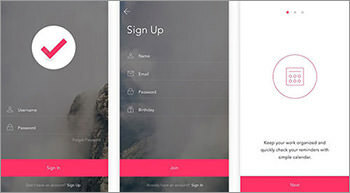 FitApp Landing Page – A nice PSD landing page template for mobile application presentations that features a minimal and clean style featuring a big header, several features sections, and an engaging footer to get the app. 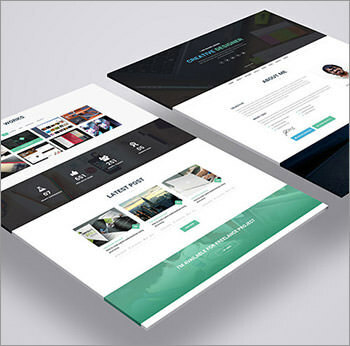 Responsive Landing – This is a template for landing pages that feature responsive designs for hand-held mobile, tablet, and desktop devices, delivered in PSD and Sketch format. Photo Management App – A cool PSD template of a web dashboard for managing photographs, featuring a nice style with rounded corner thumbnails, and a left sidebar menu. Social Network Page – A simple flat redesign of rising social network VK with bluish and rounder changes, including profile pictures, defined icons, and more. 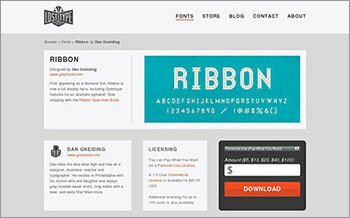 It is made available in PSD format. 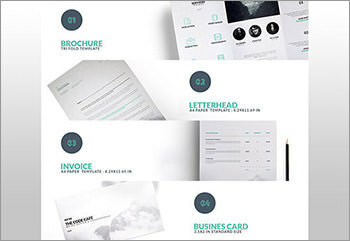 Branding Identity Set – A set of branding identity that includes a brochure, a letterhead, an invoice and business card mockups featuring a clean style with green icons and fonts. 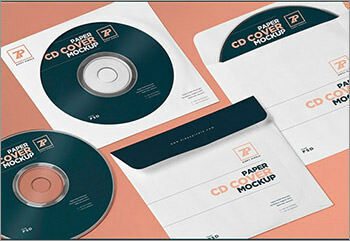 Isometric CD Cover – A set of elements in PSD format that allow you to generate your own mockup scenarios featuring your design on the CD cover and the actual CD. 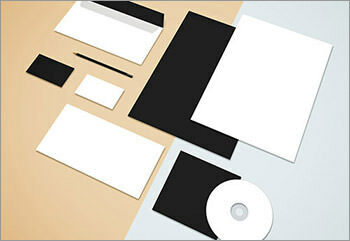 Great for srucing up music CDs or branding/promotional CDs. 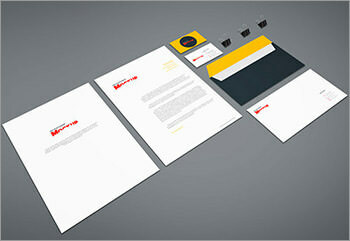 Retro Stationery – Here’s a pack of retro-styled top-view elements to generate mockups of your own branded stationery. 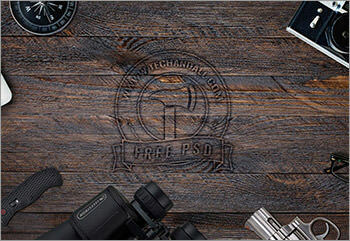 You’ll find 52 different and fully editable items in a 8000ÃÂ8000 pixels PSD file. 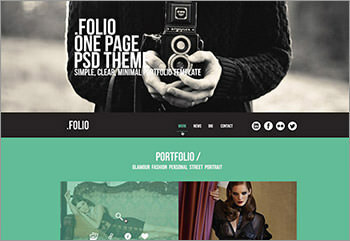 Jops Photographer Website – Jops Photographer is a free web HTML template developed for photographer portfolios and galleries featuring a fully responsive layout and smooth scrolling through screen-size photos. 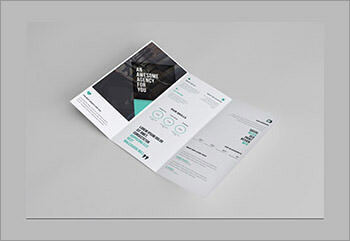 Brochure PSD – A set of 14 different perspectives of a bifold brochure of size A4 mockup featured against a clean background scenario, fully layered and organized. 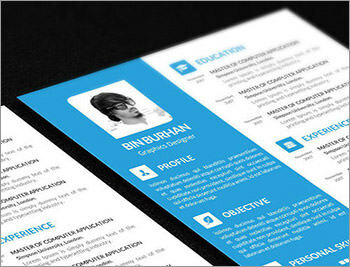 CV Template – A neat, creative CV template that features a professional-office style. 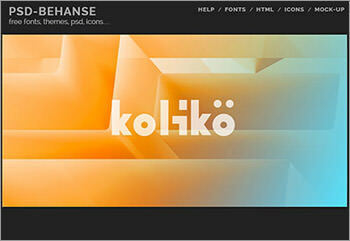 Available in PSD, AI, and InDesign formats and completely ready to print in CMYK profile. 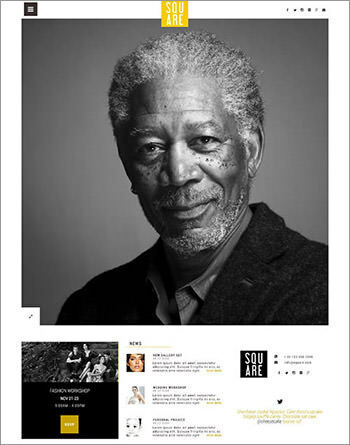 Square PSD – Square is a web template in PSD format that features a clean minimal style and square design for all of its grid elements, header images, and post containers. It comes with 6 different individual pages. Logic Business PSD – A web template in PSD format that features a nice and clean style for containers separated by full-width photo background over-layered containers. 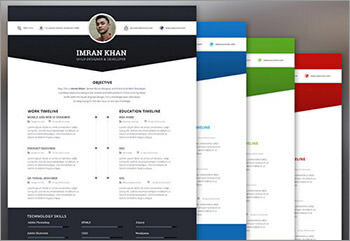 I-AM-X Web CV – I am X is a web curriculum vitae template in a clean and minimal style. It comes in 2 PSD format files. Alongside the CV is a cool vCard. 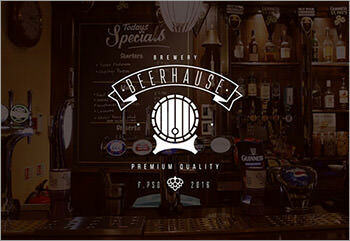 Beerhause Bar Website – Beerhause is a website template in PSD format that features the typical cool vintage style of classic public bars featuring several different font styles. 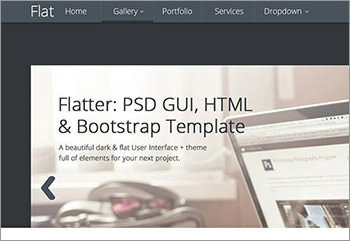 Flat & Material PSD – A PSD template for a landing page designed in both flat (as a SoundCloud app) and material (as an e-Commerce) designs. 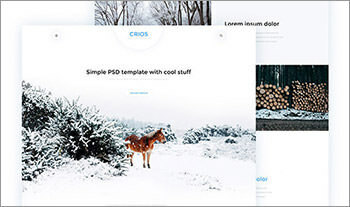 Crios Web PSD – Crios is a website template in PSD format that features a clean ultra-white and modern design and that includes well organized and properly labeled files. 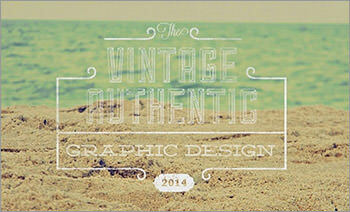 Vintage Styled Logos – A free bundle that consists of 17 different vintage badge logos released available in PSD format and includes a text document with the name of the fonts used. 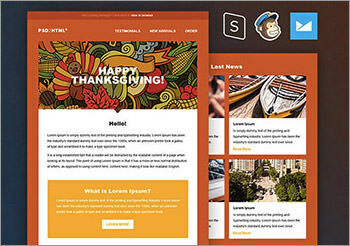 Thanksgiving Day Email – A cool e-mail newsletter template in PSD format that features a nice flat style as well as several containers in an 800px width layout. Profile Avatars Pack – A set of 77 cool avatars for profile picture that come in a PSD file featured in a resolution of 200ÃÂ200 pixels each. 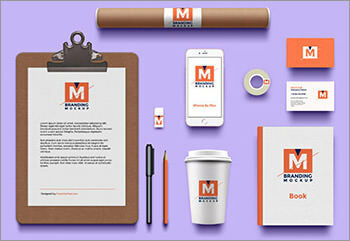 Branding Identity Set – A cool set of branding identity mockup in PSD format that features several items like a pencil, a coffee cup, sticky tape roll, business cards, and more. 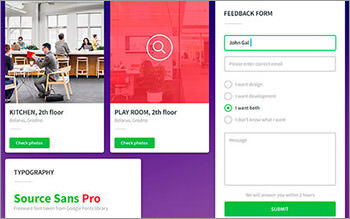 Perspective Website – Anyone need a cool perspective screen mockup that allows you to feature your application screens in 3 different sizes for desktop, tablet, and mobile devices? 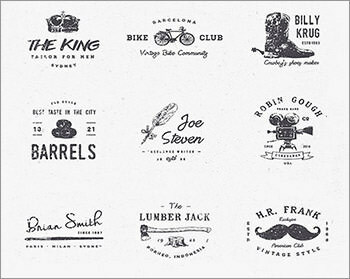 Hipster Logo – A nice set of 8 cool vintage logos in both black and white style that come available in Ai, EPS, and PDF format. 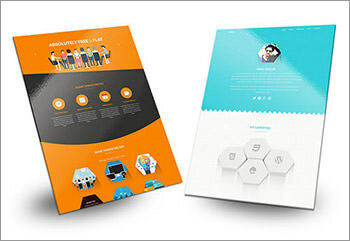 Geometric Trifold Brochure – A template for trifold brochures that features a nice low-poly background and comes available in PSD, Ai, and InDesign. Holiday Card – A nice PSD mockup of a 5”x7” card mockup perfect for holiday designs featuring rounded corners and smart object layer to add your design. Free logo templates – In this freebie, you’ll find 16 logos crafted in a 200ÃÂ200 pixels grid in PSD format. The logos are available in 3 different styles: black, white, and color. 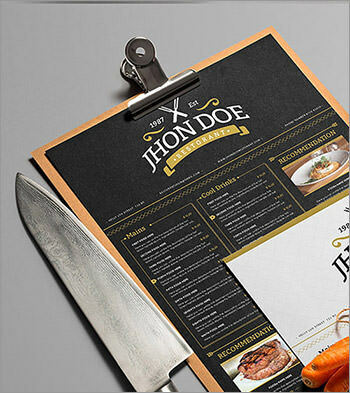 Restaurant Branding – Designing for a restaurant? 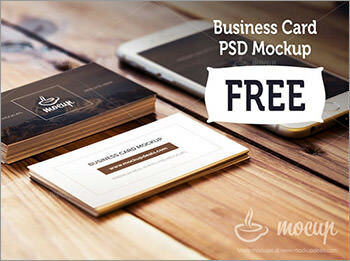 Then, you might need these branding mockups such as a menu, a pocket notebook, and business cards, that come in PSD format with smart-object featured background and designs. Magazine Brochure Catalog – A cool magazine brochure catalog mockup featuring smart objects to add your design and two different backgrounds. Alecto – Alecto is a clean web template in PSD format that features a flat style and a single color scheme that highlights the identity of your corporation or company. 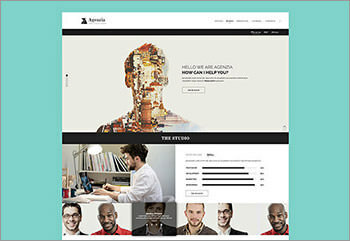 Apollo – Apollo is a web PSD template that features a grayscale style aimed for professional photography or related artwork performers. 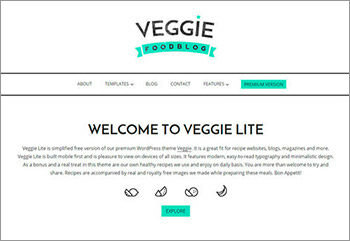 Veggie – A clean and flat style PSD web template for cooking- and restaurant-related businesses featuring several full-width containers and high-quality images. 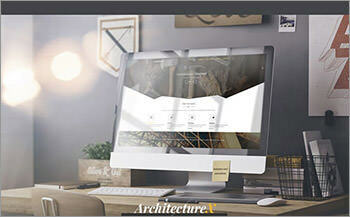 ArchitectureX – ArchitectureX is a neatly crafted website PSD template that features 3 different styles and a very creative, yet professional layout in dark and light contrasts. 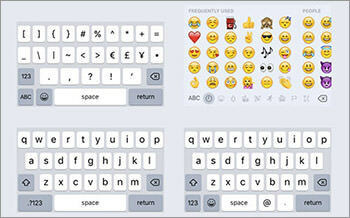 iOS 9 Sketch Keyboard Kit – A kit of several iOS 9 keyboard templates in both light and dark style featuring Qwerty layouts, emoticons, numerical keyboards and other keys. Apple Device Mockups – A set of 24 flat mockups representing most of the current Apple devices collection such as Apple Watch, iPod, iPad, iPhone, iMac and MacBooks. 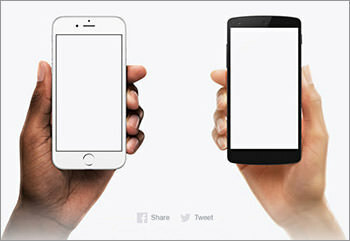 Diverse Device Hands – Diverse Device Hands is a set of regular mockups featuring a range of hand-held mobile devices with different screen sizes. 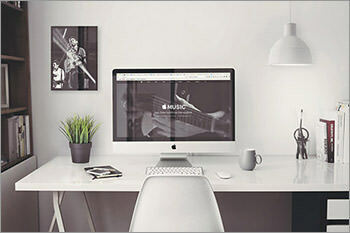 Mydesk – MyDesk is a set of 50 mockups representing several desktop items such as cameras, coffee cups, keys, USD drives, and more. 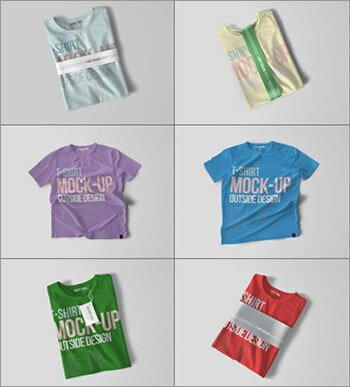 T-Shirt Mockups – A set of 10 photorealistic mockups that allow you to feature your design in several positioned T-Shirts which can be edited via Photoshop smart objects. 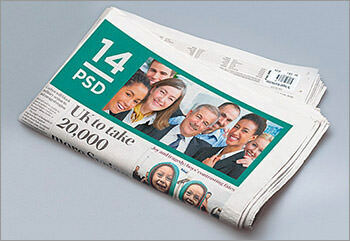 Newspaper Design – A set of 14 photorealistic mockups that allow you to feature your ad designs in newspaper sections of different sizes and placements. 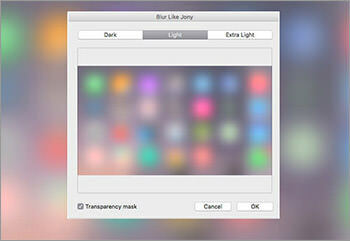 Blurring Image Filter – Blur Like Jony is an image filter plugin for Photoshop inspired by Apple’s iOS blurring effect, allowing you to showcase your edition in a dark, light or extra light mode. 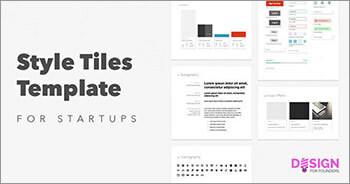 Style Tiles – Style tiles is a template for Sketch App that allows you to design logos by helping you manage the proportions of your design color scheme. ECommerce Web Concept – H&S is a PSD web template that presents a new concept of layout featuring a 24 column 40 pixel-width grid which would allow you to lay out content in a very diverse way. 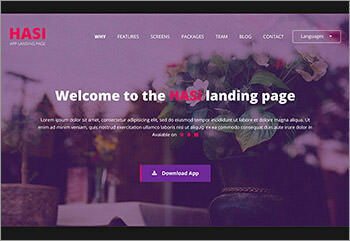 Flat Landing Page – Hasi is a PSD landing page template for Bootstrap 3 that features a nice and clean flat style and filled icons. 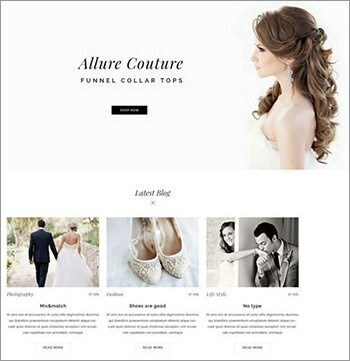 Wedding Dress ECommerce – A clean website template that would perfectly suit eCommerce sites for wedding dresses and related products. 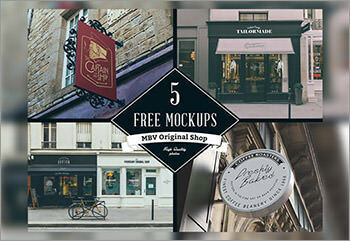 Signs & Facades – A unique set of 5 circle, horizontal and vertical signs & frame mockups with photorealistic, on-store scenes. Clean Wireframing – A clean wireframing template for Sketch featuring the most common layouts for desktop and mobile, 3-level mobile navigation, a full array of typography text styles, several UI elements, commonly-used FontAwesome icons, and more. 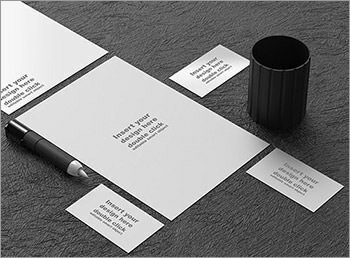 Clean Minimal Branding – A clean and minimal branding identity set that consists of a letterhead, a trifold brochure, an invoice, and business cards. 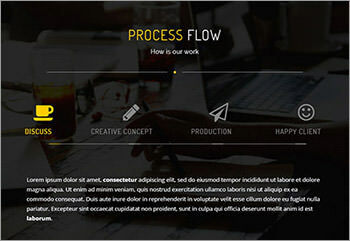 Glowing Template – A Bootstrap 3 PSD web template that features a modern black-yellow scheme with glowy (radioactive?) 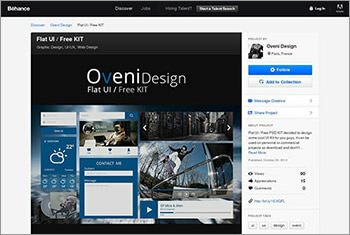 elements like boxes, buttons search bars, toggles and others. Also available in cyan, green and white. 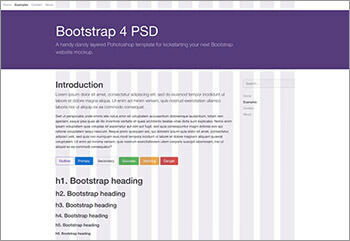 Bootstrap 4 PSD – A PSD template for Bootstrap 4 that features a layout based on Bootstrap’s 12-column grid, as well as Photoshop’s Character Styles palette characteristics that easily help you override Bootstrap’s default font styles via the character styles palette. 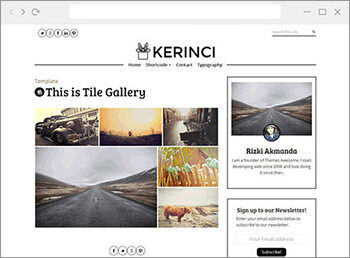 Blog & Magazine Website – A PSD web template that was created for blogging and magazine purposes. 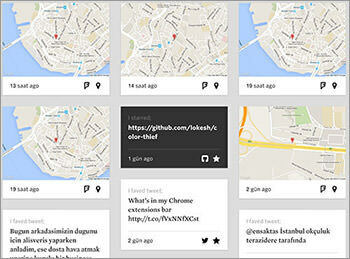 It has a very simple layout with thumbnail feature posts grid and a right-sidebar. 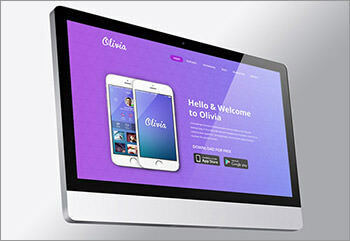 Olivia – Olivia is a website PSD template that features a scheme that is very characteristic of iOS interfaces. It has a minimal style and comes with line and filled icons, and gradient containers. 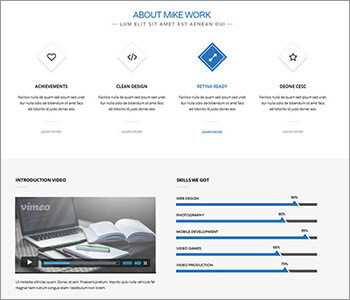 Mike’s – A web template in PSD format that features a clean flat design heavily featuring geometric shapes such as hexagons, circles and triangle-trimmed edges. Mike: One Page Website – Here is a clean one-page PSD template that features quite a unique style featuring a big edge shaped headers and several rhombus containers for outline icons. Tajam Website – Tajam is a minimal style template in PSD format that features nice outlined white and aqua icons, a full-width containers layout, with nice faded backgrounds. Horizontal Wooden Frame – A set of high-quality frame mockup set which contains 7 texture variations in 3 common frame sizes and 3 different frameless pictures. 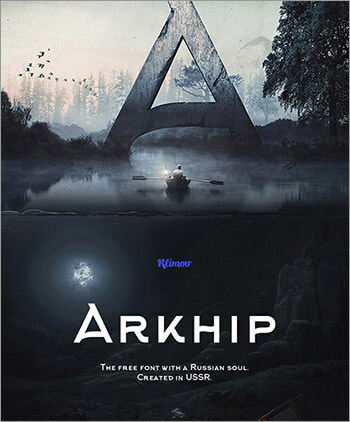 Designed by Vadim Sherbakov and Lukasz Bachur. 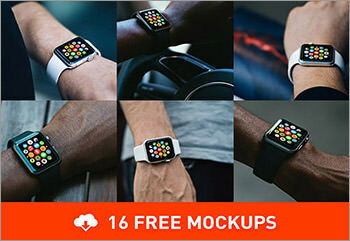 Free Apple Watch Mockups – A 16 Apple Watch mockup pack in high-resolution (5000ÃÂ3337 pixels). It features smart objects and was designed by COBE. 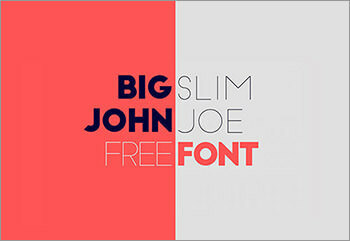 This cool pack of 840MB is released free for personal use. 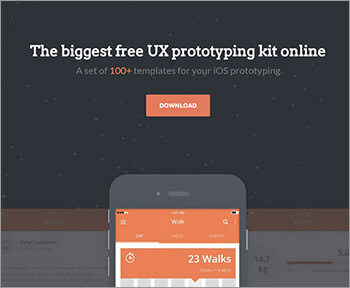 iPhone and iPad UX – A set of over 100 one-by-one downloaded UX kit for iPhone and iPad. 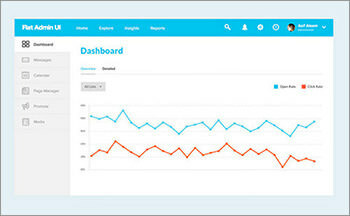 It features plenty of UI types such as profile card, Analytics, maps, lists, indexes, among others. 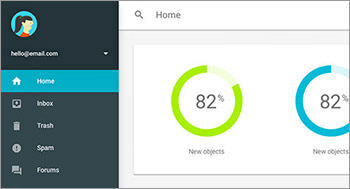 Material Design Lite – Official Material Design front-end framework from Google (new Bootstrap Killer?). Distributed under Apache 2 license. Business Cards and iPhone – A mockup of both a business card and an iPhone 6 in PSD format. There are 2 business cards displayed along with the iPhone screen. It features several blur effects and smart objects for easy edition. 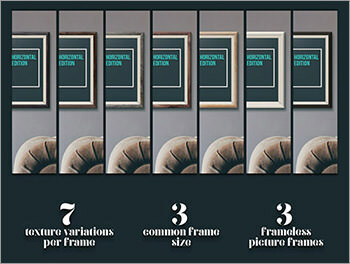 Frame Styles & Poster – A PSD A4 poster mockup featuring smart objects, black and white frames, real reflections, and multiple shadows and variations. Its resolution is 2433px*2708px. Crafted by Mats-Peter Forss. 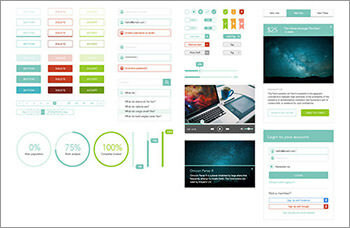 Wireframing Set – A vector wireframing set in Sketch format completely suitable. 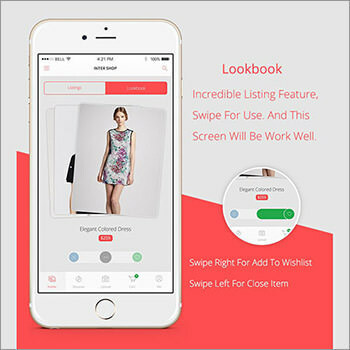 It features color adjust, flipping and rotating customization. 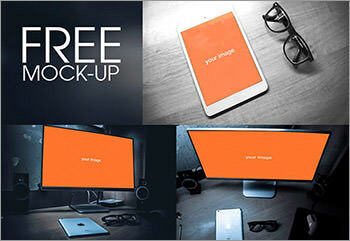 Free IMac Mockup – A PSD 27Ã¢ÂÂ³ iMac mockup in a very neat workspace. 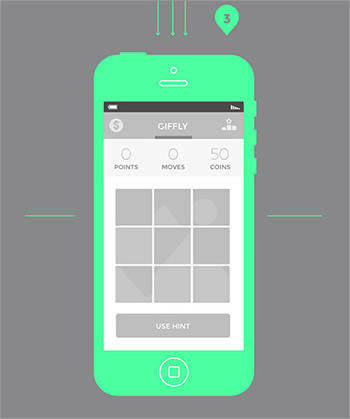 It features VSCO Film effects, realistic reflections, and smart objects. It has a resolution of 2669x1777pixels. Created by Mats-Peter Forss with a non-commercial use license. Clean Pricing Table – A pricing table PSD template designed in flat style with very smooth colors and edges turning out in a very clean and crisp template. 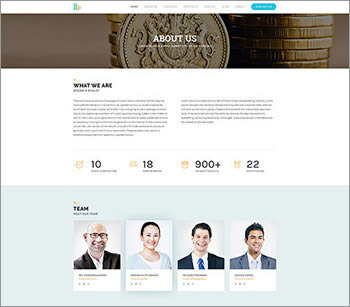 Digi Max Studio – A website PSD template based on DigiMax landing page and it features DigiMax, profile, work, contact separately. This template was crafted by Nugraha Jati Utama and licensed free for personal and commercial use. YukNgalam – A free one-page template designed in flat style for travelling purposes, featuring home, destination itinerary, review and contact sections. Created by Dany Rizky, licenced for personal use. 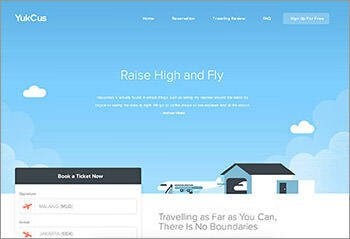 YukCus – A travel website one-page template designed in flat style which comes with its own color scheme. 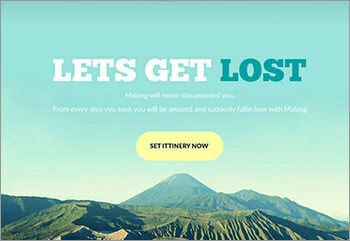 It features a flight-inspired header, book a ticket widget, featured destinations comments and about sections. It is free for personal use and was crafted by Dany Rizky. 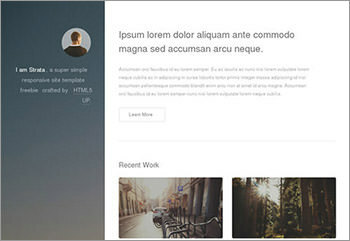 One Page Personal Portfolio – A Sketch one-page portfolio template that features; about, portfolio, blog and contact sections. 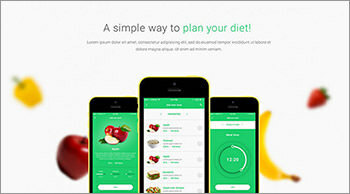 It is designed in a flat style and is based in a green-yellow color scheme. 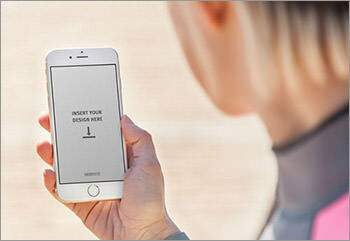 Shredplates – A collection of high-resolution iPhone 6 mockups with a surfing focus in the background. 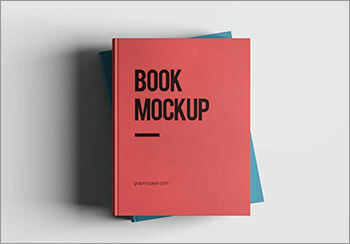 The mockups include smart objects and 24 individual PSD templates. 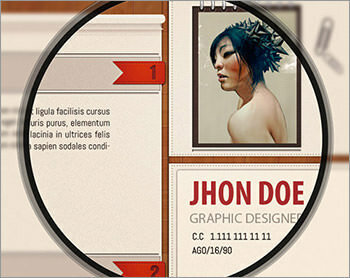 4 Colors Resume – A resume template composed of 4 color variations made in PSD. It’s well layered, easy to edit, print-ready, and also includes a cover letter template. 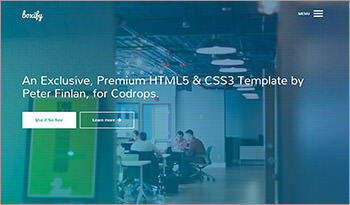 Aleo – A free flat PSD template for blogging websites, personal or commercial. It’s divided into two parts, one for the big image header and the other for the rest of the widgets. 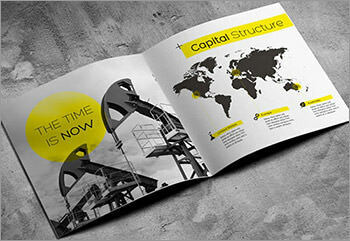 PSD Brochure Template – A lightweight tri-fold template in PSD format for personal and commercial use. Event Landing Page – Available in HTML and PSD, this template is to be used for an event or a meetup. The header has a counter, and right below it is all the info for the event. 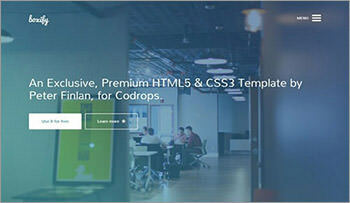 HTML5 CSS3 Template – A clean and minimalist website template in HTML5 & CSS3, which can help you show off your brand;n includes big featured image header, video area, services, portfolio, contact, etc. 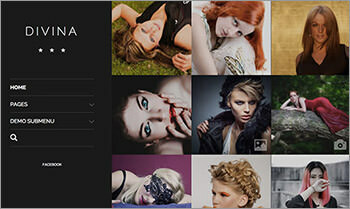 Agenzia – Agenzia is a set of 8 templates in PSD for personal portfolio, creative agencies, e-commerce websites and such. Folio – A free flat web template made in PSD format with an organized set of layers and groups making it really easy to modify. 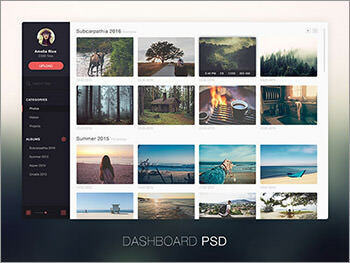 Switch – Switch is a multi-purpose template for Photoshop, perfect for small businesses and startups. Has a big logo area and menu bar wich can be fixed easily. 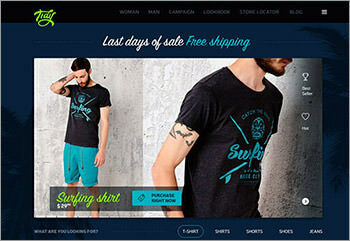 Online Shop Template – A template for a minimal and clear online shop. 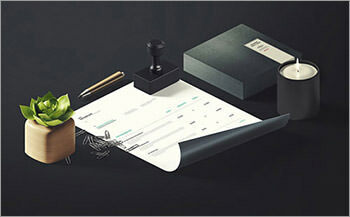 Stationery PSD Mockups – A truly useful asset for those interested in branding for companies. 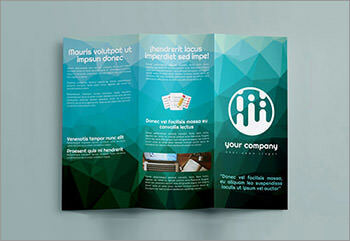 These mockups can be the last step before taking the design to the printer. 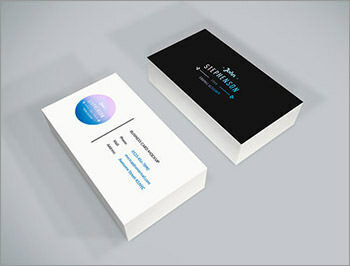 Business Card Mockup – A pretty cool pair of mockups to showcase your own or a client’s presentation card in style. Super easy to edit in Photoshop. 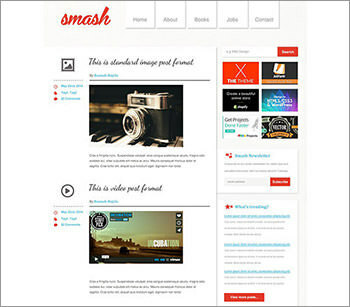 Smash PSD Template – A classy design for a website encouraging multiple media posts and including a sidebar for ads and extra information. 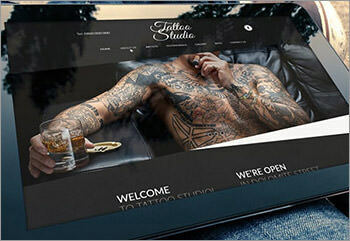 Tattoo Studio Website – A fancy website template with elegant typography, angular sections and a sober black and white color palette. Initially made for tattoo websites, but definitely useful for other endeavors. 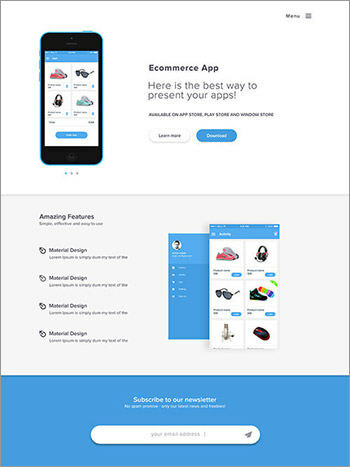 Blue Landing Page – A one-page template specifically designed for businesses in order to showcase products and present the brand to the public. 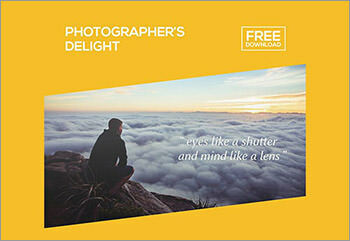 Photographer’s Delight – A theme aimed for photographers, designers and visual artists with a big focus on imagery and sharp typography, all wrapped up into a super simple layout. DV E-commerce – A template designed specifically for online shops, allowing them to display their products in a clean, efficient and attractive manner. 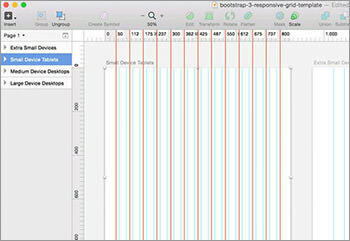 Bootstrap 3 Responsive Grid – A clever resource that makes use of the native Sketch layout grid to provide a responsive template for your projects. There are four versions with different number of columns, depending on the device you’re working on. Designer Workplace Scenery – A simple mockup scene to display your designs in a freelancer table with a few Apple devices and a pretty IKEA table. 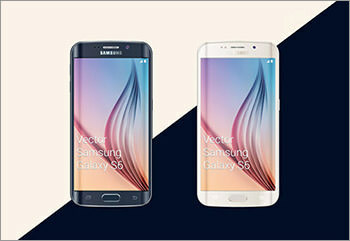 Samsung Galaxy S6 – A pair of vector mockups in black and white versions for Samsung’s latest smartphone: the Galaxy S6. 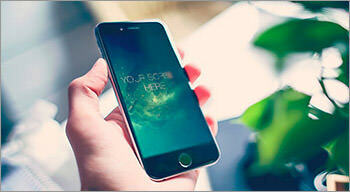 Free iPhone Mockup – Over a dozen iPhone mockups featuring both iPhone 5S and iPhone 6. Ideal for business-oriented showcases. 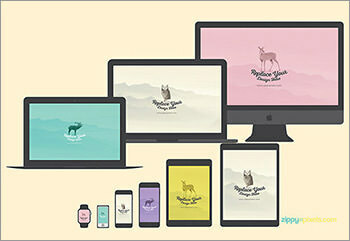 Mobile Devices Pack – An incredible set of realistic mobile devices, available in SVG, PSD and AI format. It includes basically all major devices at the time, so there’s no excuse for not grabbing this one. 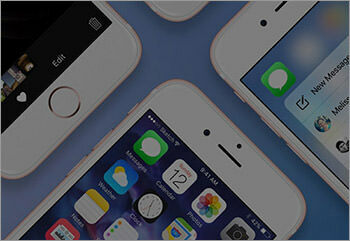 Apple Devices Mockup – A neat trio of Apple device mockups depicting an iPad, iPhone and MacBook Pro. 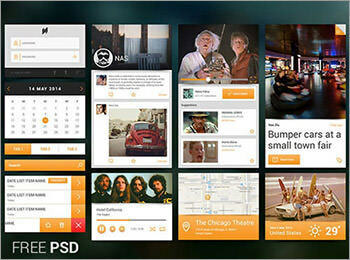 They can be very useful to test-drive and present your website and app designs in various screens. Apple Watch Frames – A fun pack of Apple Watch frames to showcase your app designs. They come in both 38mm and 42mm sizes, with lined and detailed styles. 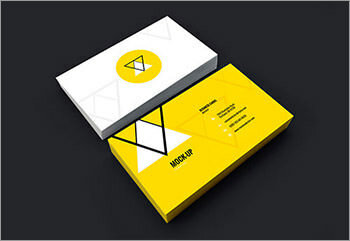 Business Card Deck – A neat business card mockup showing a single item above a packed stacked of more cards. The wooden table gives the resource an elegant touch, while keeping it minimal, as it was intended. Professional Resume – A free CV template to get the edge over your competitors when applying for a position. Edit with Adobe Illustrator. 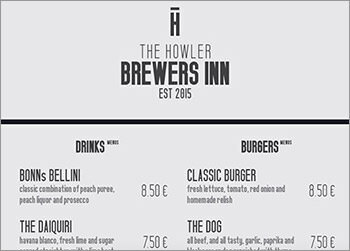 Black Textured Flyer – A meticulously textured flyer template that you can use to promote events, restaurant, shops or any other initiative. You can edit with InDesign, Illustrator and Photoshop depending on your needs. 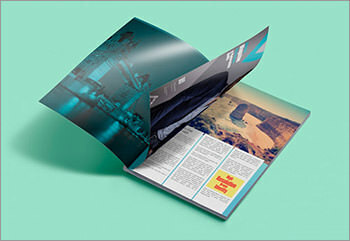 Magazine PSD – A cool magazine mockup with a neat 3-page view, easily editable through Photoshop smart layers. 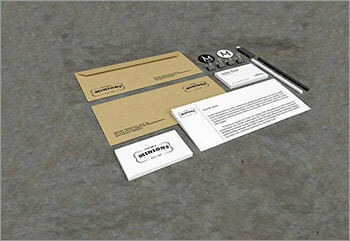 Branding-Stationery – Companies have many different common use elements in the office, and all of them need proper branding. 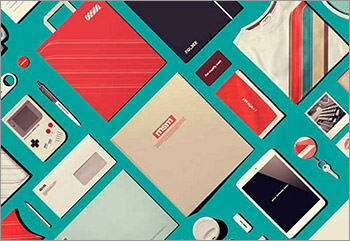 Preview all of those designs with this complete stationery mockup. 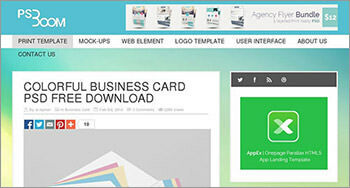 iPress Magazine and Blog – A very complete website template in PSD format, aimed at Magazines and blogs. It features a sharp, modern flat style and contains an impressive variety of components to achieve just the look and functionality you’re after. 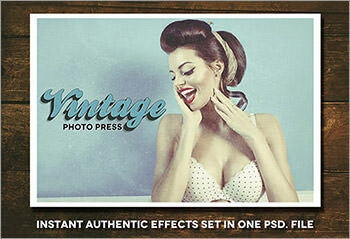 Vintage Business Branding – An awesome collection of branding elements for your company in PSD format, using a fantastic retro style. In this bundle, you will find logos, frames, mockups and other elements, great for giving your project a very recognizable look. Fonzo – A minimal template with straightforward divisions for easy navigation. 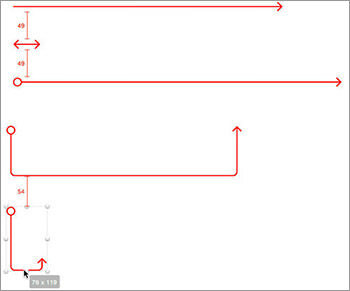 It is composed of vector shapes for worry-free editing in Photoshop. 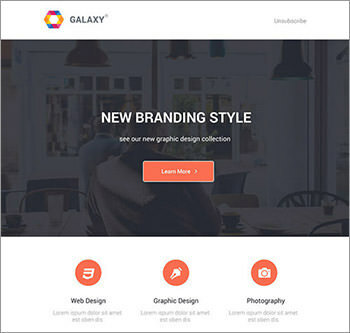 Galaxy Newsletter – Give your newsletter a visual makeover with Galaxy, it features bold colors and a modern look that will leave your clients enchanted. 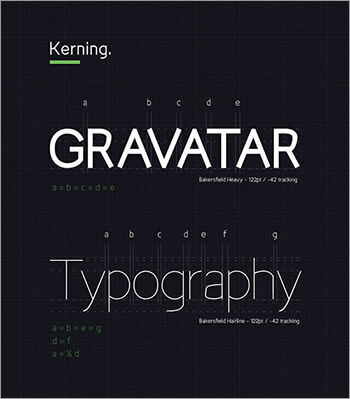 Makes use of free Google Fonts. 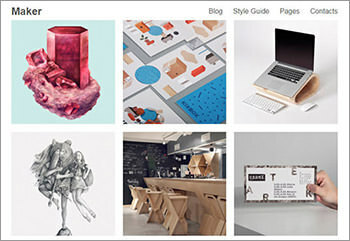 Boxify – Mostly created for start-ups or portfolios, this free template offers a cutting-edge look to your online space. Strata – A simple portfolio template featuring big images and parallax scrolling, all with a very classy, content-focused look. 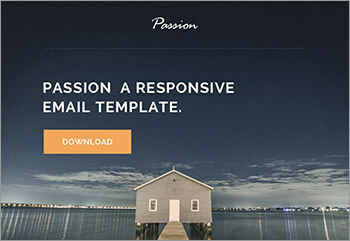 Passion Email – Bring your next newsletter release to life with this awesome email template, featuring big images, icons and soft shadows. 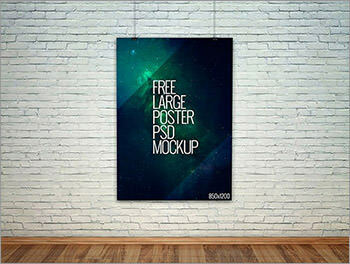 Poster Mockup – A cool mockup where you can display your latest poster designs. 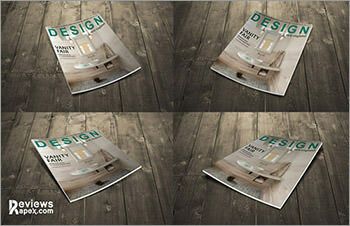 This particular PSD file offers various lighting and background options. 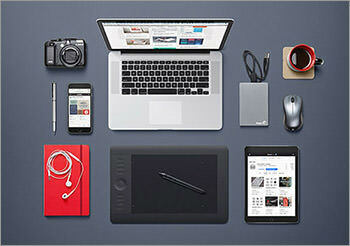 Designer Desk Essentials – Create custom images for your portfolio page with this set of essential desk elements. Each part is separated so you can make your own compositions. 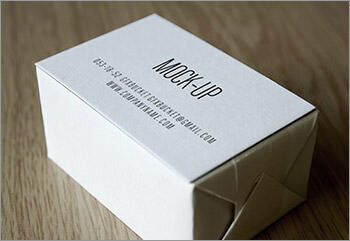 Business Card Mockup – Picture how your next presentation card will look before you release the final version. They have a cool stacked cards effect for added realism. 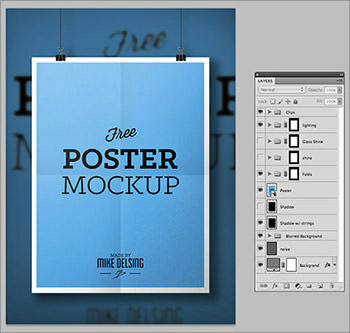 Large Poster PSD – Need to promote an event or project? A nice flyer can do the trick and here we have the right poster mockup for you. 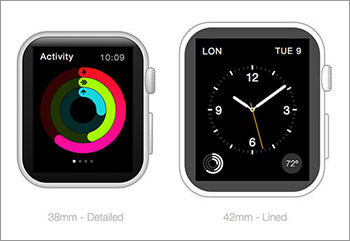 Apple Watch Mockups – A set of mockups for the upcoming Apple Watch. Now you have something to showcase your future work! 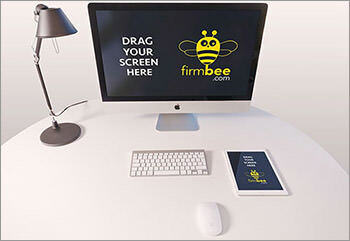 Digital Screens – A beautiful mockup with a flat screen monitor and an iPad. The editing applied to the images make these easy on the eyes. 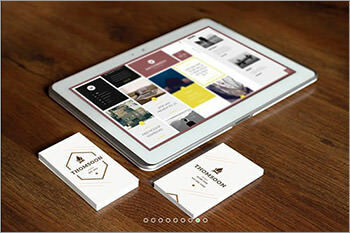 Photographic Mockups – A set with 5 photographic mockups with iPad, iPhone and business card images. 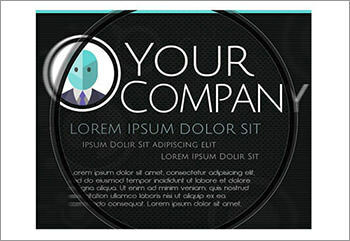 All in PSD format containing smart layers for a convenient way to add your content. 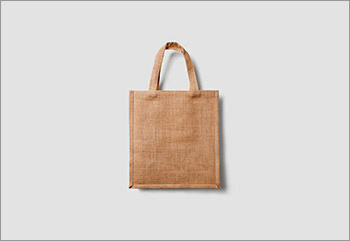 Eco Bag – A high resolution eco bag mockup that allows you to change background, add logos with smart layers and separate objects from shadows. Help file included! Clean Interactive Resume – If you’re looking for a job or want to showcase your professional info, this interactive resume might be just what you need. 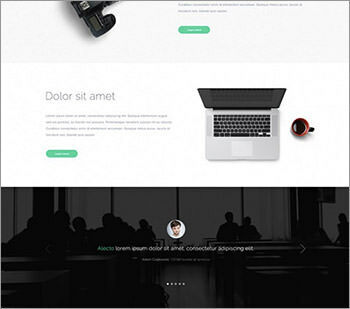 SKOKOV – A PSD template going for a modern look for your business, agency, corporation, etc. It’s meant to be a one-pager for an easy user experience. 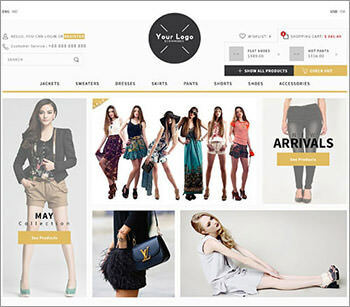 LookShop – A responsive template meant for e-commerce sites. Available in PSD format. Flat Admin – Admin pages don’t have to be all boring. Spice up the control center with this flat-styled template. SNDSGN – A complete website template including custom buttons, icons and Google Fonts, all neatly packaged in PSD format. Flat CV – Looking for a new job? 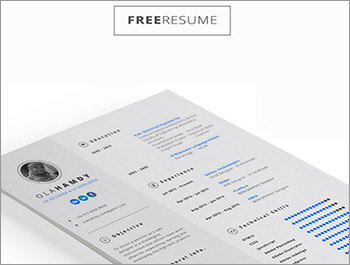 Get an edge over other applicants with this modern looking CV template. 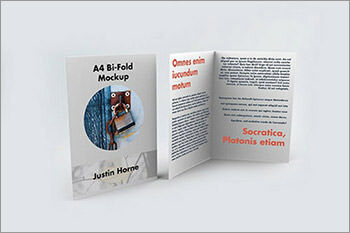 Book Mockup Views Set – Need to feature a book? 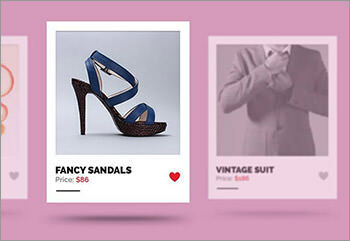 Rather than take actual photos, use this mockup instead. The mockup allows light and shadow control, smart objects and full editability in 8 different views, in a resolution of 3000 x 2000 pixels. 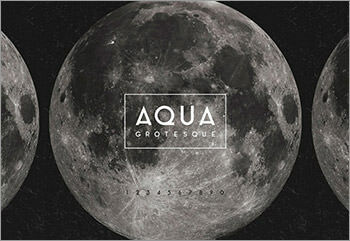 Available in PSD. 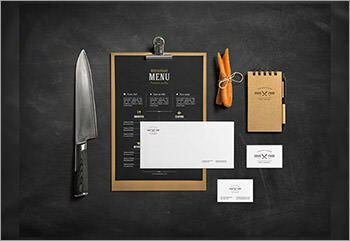 Elegant PSD & AI Brand Identity Pack – Quite an elegant branding mockup for restaurant-branding projects. Available in white, black and gold color schemes. 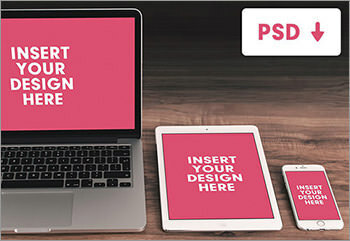 PSD Branding Stationery Mockup – A mockup with customizable stationery elements, created in PSD format. Objects, shadows and background colors are separated for easy editing. Hawcons – A massive pack of over 500 icons with sharp and crisp design. These are icons suitable for any purpose, and although they are created using Sketch, they are also available for Photoshop and Illustrator. Transportation – This set we have here is a compendium of 71 stroke icons depicting all the conventional means of transportation. The icons are vector shapes made with Adobe Illustrator. 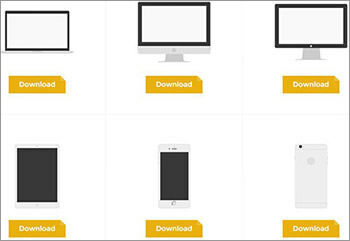 Mobile – This set is probably the biggest mobile collection of icons you will get for free. It’s composed of nearly 10 thousand icons for leading mobile interfaces, including classic iPhone, iOS7, Windows 8 and Android systems in a neat 7Zip file. 1000 Free Icons – Yes, you read that right. This massive package from Six Revisions contains 1000 free icons for your delight in PNG, EPS and AI formats. They cover many different topics and situations. Brownie Flat – These fresh icons make a great combination of the new flat style trend with more retro ideas by featuring old colors over edgy icon designs. Definitely worth a look. 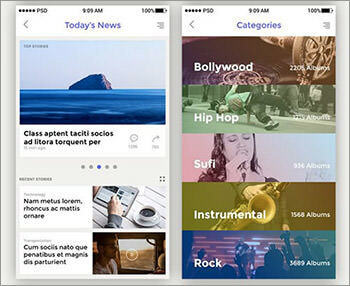 iOS 7-Inspired Tabs – iOS icons can be subtle, sharp and avant-garde. This amazing set intends to replicate just those attributes with an extremely simple styling that works like a dream. Mobile Devices – A simple idea for an icon font displaying cell phones and tablets in different positions and sizes. 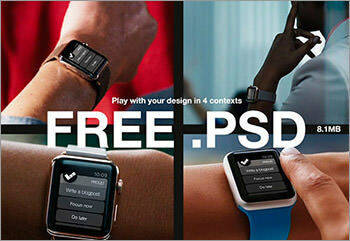 Perfect for retina-readiness and lightweight designs. Dripicons – A great set of 200 icons crafted in a minimal style featuring general purpose items. 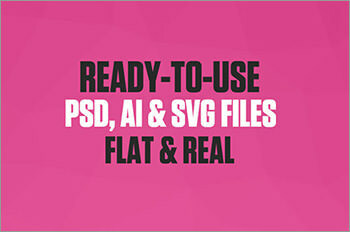 Get it in SVG, PSD, Sketch, AI, WPS, PDF, and webfont formats. Barista & Coffee – If you love your coffee, you might like this cool set of 50 minimal coffee icons, crafted in a grid of 128 pixels, inspired by the barista and coffee industry. iOS Icons Kit – An awesome set of 52 beautiful & lightweight flat-styled and pixel-perfect designed icons to do with activities. It is delivered in AI, Sketch, EPS, SVG, PNG, and PDF formats on a 60px grid. Point & Square – A nice set of square, points, colored line icons designed in a clever way by combining colored and gray lines for their composition. Available in AI, EPS and SVG format files. Sketch Icons – A cool set of 310 minimal line and filled icons in several colors all in a single Sketch format file. Squid Ink – A cool set of 1000 minimal style designed icons for use in user interfaces, package labels, stickers, mobile applications, and more. Available in AI, EPS, PNG, PSD, SVG formats. Transport Icons – Here’s an impressive set of transport-type vector icons crafted in a nice flat style. It is available in PNG, AI and SVG formats. Outline & Solid – A cool set of 350 icons designed with the Material Design guidelines in mind. Available in both outline and solid styles and in Sketch, AI, SVG and PDF format. Music – A set of 15 adorable music-themed vector icons available in AI, Sketch, and SVG format. Material Design – A set of 350 icons crafted following the Material Design guidelines in both line and solid styles featuring miscellaneous elements. 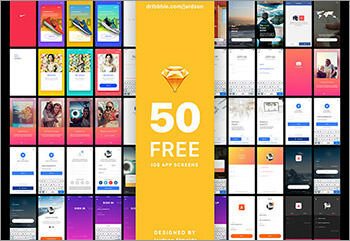 Available in Sketch, AI, SVG, PSD, Iconjar and EPS formats. Icon Redesign – A set of 130 vector icons that come in both line and circle versions, designed with thick, round edged lines and shapres and available in Ai, PSD, and SVG format. SVG Web Icons – Simple Icons is a collection of SVG web icons of popular brands with an assigned color code for each of the icons. Amenities – A cool collection of 50 line icons in PSD format that are related to miscellaneous topics featuring a resolution of 32ÃÂ32 pixels. Material Design Icons – This is a nice set of almost a hundred icons in material design style for Sketch. Inkallicons – Inkallicons is a set of 150 line style icons in Ai and SVG formats crafted with an ink-like trace and featuring effects that give them a realistic look. World Landmarks – A set of 18 vector icons that feature quite a defined line style in order to represent several of the most known landmarks in the world. Bitsies – Bitsies is a set of 143 vector icons that feature a line trace in several widths and colors, released free for personal and commercial use. Office and Business – A pack of 92 icons related to business and office topics released in several vector formats and additional PNG previews ranging from 64 to 512 pixels. Sketch Icons – FlagKit is a Sketch icon library that features over 180 flags of countries and organizations across the world, ready to be called from Swift coding. 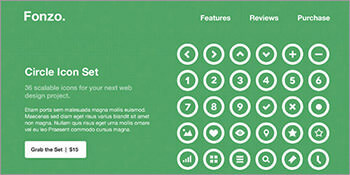 Line Icons – A set of 170 icons released in PSD format that feature a line style representing miscellaneous elements. Blobs – Blobs is a pack of 1000 icons that feature a pure flat design delivered in Ai, PSD and SVG formats. US States Shapes & Flags – US Geography not a strong subject when you were in school? 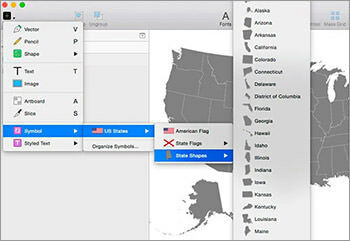 Great, this is the shortcut you need: a collection of state shapes and flags organized neatly by Jahnis Wish for Sketch. Ink Style – A collection of 100 icons in a rather unique ink style. They are mainly outlined but with features and details that make them seem like freshly hand-drawn ink. Smartwatch – Find 200 icons specially crafted in vector Sketch and AI format for smartwatches here. They are fully customizable in both line and filled style. Touch Gesture – A set of 56 outline touch gesture icons briefly described below each one of them. They come in a single AI file. 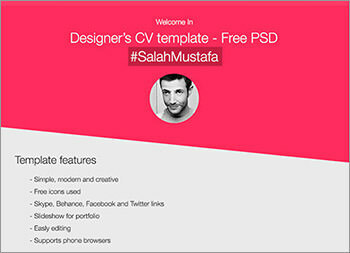 Created free for personal use by Wassim Awadallah. 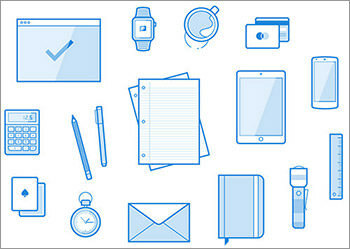 Outline Design – A miscellaneous icon pack with 48 items designed and crafted in Adobe Illustrator. Created free for personal use by Ghani Pradita. Socialoha – A huge set of social icons crafted in six different styles, clean, flat, material, black, filled and outlined. They come ranging sizes 16px to 512px and also in vector format. Blue and Green Outline – A free vector icon pack with 40 free elements in both shaded blue and green outline design. 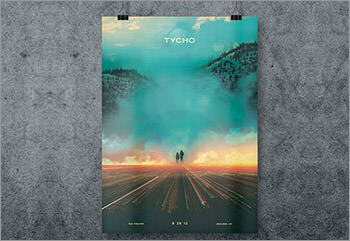 They are crafted in PSD, AI and vector format by Pavel Kozlov. Available only for personal use. Line Style Workspace Elements – A set of 16 fully editable minimal illustrations available in SVG, AI and Sketch formats. Some of the elements you’ll find are a watch, a calculator, a flashlight an iPad and a ruler. Crafted by Vincent Tantardini. Cinema – A cinema-themed set of 200 vector icons in SVG format. They come in 2 styles, Windows 10-like and flat style. Crafted by Icons8. 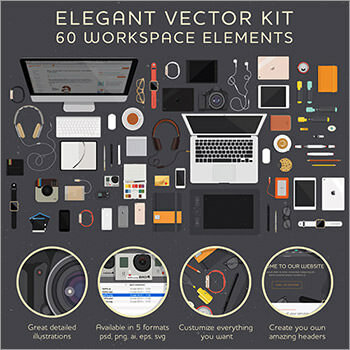 Workspace Elements – A kit of 60 workspace elements in vector format, highly-detailed designed in flat style. It is distributed by Anastasia Kolisnichenko in PSD, AI, SVG, EPS and PNG formats. Some of the elements are Apple Watches, iMacs, headphones, markers, cameras and glasses. Apple Watch Flat Style – A set of 20 flat designed Apple Watch icons which feature analytics, media player, weather, call, chat, and many more screens. This set was crafted by Flatstudio in AI format. On-blackboard Chalk – A set of over 100 chalk design ribbons, and labels with love and inspiration as the main themes of the badges. Created by VectorOpenStock and it comes in AI files. 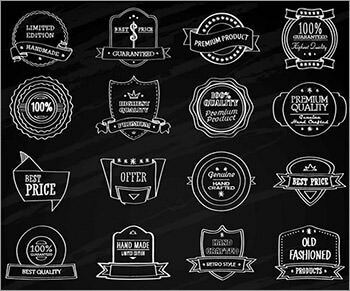 Vintage Style Badges – A pack15 vintage badges elements crafted by Agung Syaifudin and delivered in AI and EPS format files. They have a grunge style, perfect for badges and logos. It weighs 11MB. 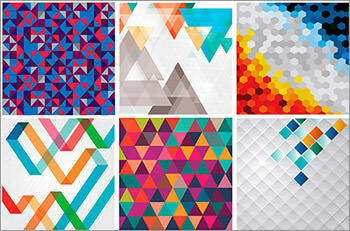 Geometric Backgrounds – A set of 21 vector low-poly and other geometrical style backgrounds. They’re quite suitable for headers, wallpapers, posters, templates, etc. They are fully editable and come in Adobe Illustrator. 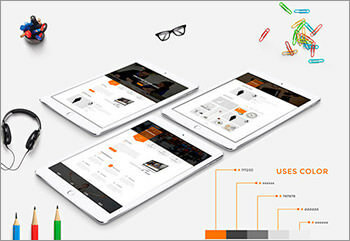 Foundry Multiple Devices – A complete gallery of design elements made in SVG format, great for creating interactive web and mobile applications. 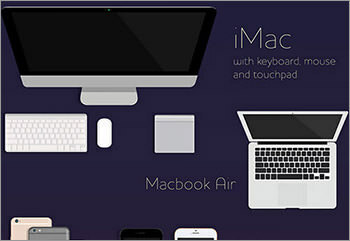 Elegant Workspace Elements – A free multi-format vector set of 60 workspace elements, including all sorts of devices like iMac, MacBook, iPhone, iPad and Apple Watch, cameras, pencils, markers and more. 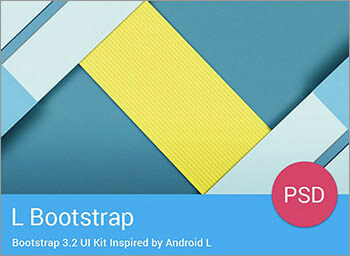 Material Design Bundle – A material design bundle for personal and commercial use. 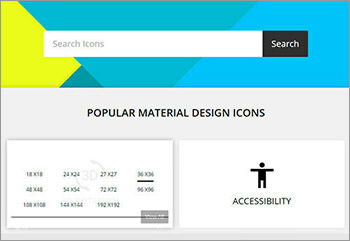 It has stationary icons, isometric icons, avatars, image fonts, patterns, backgrounds and many more. Kawaii-style – A customizable set of cute icons, Kawaii style. 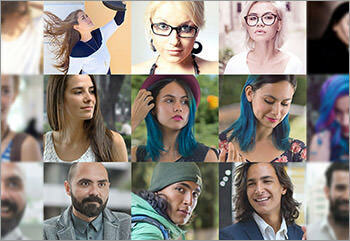 Includes 150 icons and 150 avatars with masked elements perfect for web and editorial design. Smashicons – An exclusive pack of 250 vector icons in 4 different styles. Outlined Multi-Purpose – This freebie is a sample pack with 120 free AI icons made by RetinaIcons. Sketch Social Icons – A multi-color pack of 40 editable icons for networks like Youtube, WordPress, Vine, Twitter, Tumblr, Trello, Soundcloud, Skype, Pinterest, Paypal, Instagram, Google etc. Simple Line Icons – Created by Nimasha Perera, this is a multi-format (PSD, AI, EPS and SVG) set of outline icons. Flat Design Icons – Available as AI and PNG files, these fabulous flat icons come in three complementary styles (full color and monochrome coral). The icon set has 48 flat icons, very lightweight indeed. Free Color Icons – An icon pack of 312 flat and colorful SVG icons that is free to use for personal or commercial needs. Hope and Rise – Religious icons are not all that common, Alexey Radzhabov brings us a set to use in relevant projects. Minimal – Here’s a collection of 100 common line icons for all your day-to-day design needs. They come in AI, SVG and jpg formats. Foody – A delicious set of minimal icons that will fit perfectly with restaurants, menus and other cooking-related designs. Righteous Gestures – A colorful and joyous set of hand gestures that you can use to guide users through touch interfaces. 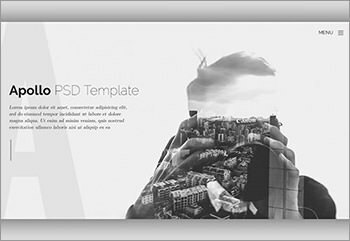 PSD, AI and jpg files included in the pack. PSD Line Icons – Part two (here’s part 1) of a neat collection of 100 outline icons, created by Davide Pacilio. Popular Websites Icons – A complete collection of icons with the logos for pretty much all major websites and services around the Web. 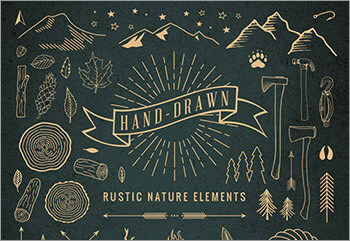 Hand-Drawn Rustic – A set with over 60 elements used in outdoors activities. Perfect for adventure and travel projects. Available in PSD, AI and EPS formats. 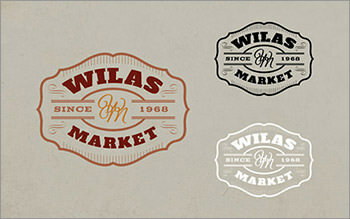 Vintage Retro Labels – A cool set of classic label designs. As you can see in the examples, they mix tremendously well with bright colors and intricate textures. Security Icons – A very modern-looking pack of flat icons displaying all sorts of security-related elements: Cameras, viruses, emails, shields, etc. Modern Flat Preloader – An awesome set with 12 flat-styled preloaders to improve user experience. They are provided in three different sizes and two formats for increased flexibility of use. Gemicon – A bit of a test run of what will become a full icon collection under the name of Gemicon. Download the PSD to get a preview of what’s to come, although these icons are pretty much ready to use. Sketch 3 Vectors – A package with over 50 vectorial icons provided as vector shapes for you to edit in Sketch 3. They portray common UI elements for music, weather, chatting, alerts and more. Littlebox – Littlebox provides a short way to create pure CSS icons, truly useful for high DPI displays. You can even animate the icons for fun little effects. Photography – More than 30 icons related to photography with a simple two-tone style, along with long shadows and available in AI, EPS and PSD formats for easy editing. Flat Icons Bundle – A neat package of icons with a modern flat look, talking about various topics such as electronics, money, travel and more. Available for free in PSD format. Library – A cute set of outline icons featuring elements you would normally find at your local library: Books, sofas, glasses, you get the idea. 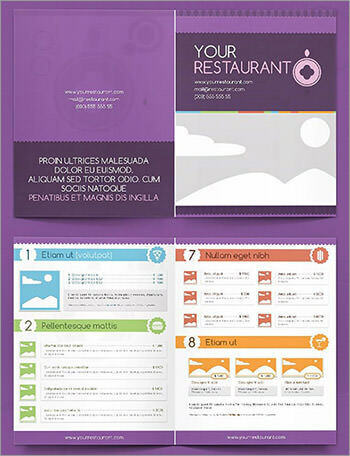 They are entirely composed of vector shapes, editable with Adobe Illustrator. Colorful Material Design – Remember the material icons Google released a while back? Here they are, colored according to their guidelines plus a good 600+ original designs. Modern UI – An awesome set of icons created meticulously using Microsoft’s Expression Design. 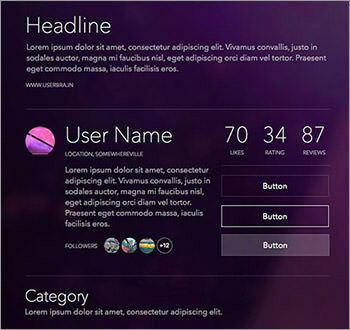 They feature a simple and straightforward look, perfect for the Modern UI style. There are over 1200 elements, provided in multiple formats. Round Vector – A collection of round icons with a very simple line design, all in vector shapes in order to adapt them to any size you want, download in EPS format. Font/Design Outline – An awesome icon font you can grab in both design (AI, Sketch) and font (SVG) versions. The outline style is modern and easy on the eye. 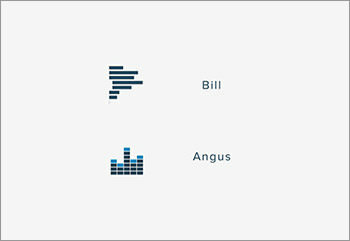 Delicate Black – A set of icons related to music and other topics. They’re quite simple, drawn in black over a white background. 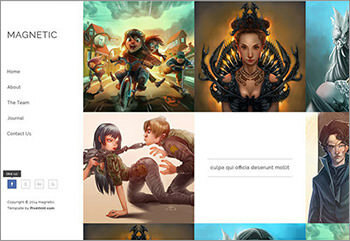 Download and modify the PSD file for free. SEO-Related Line Icons – An interesting set of icons giving an image to some terms we hear constantly in the internet business: Monetization, SEO, advertising, etc. 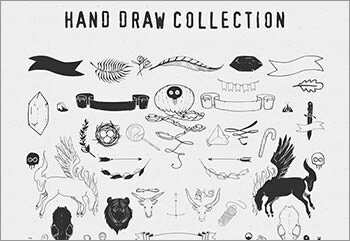 Hand-Drawn Doodles – Give your next project a very friendly look with this set of hand-drawn icons in PNG, PSD and SVG format to fit all your needs. Yoios: iOS 8-inspired – Get the best of both worlds of Apple by installing these iOS 8 icons on your Yosemite iMac. Social Hand-drawn – Promote yourself in social networks with this cool set of hand-made social icons for the top sites out there. Retro Vehicles – A detailed package with some of the most beloved models in the history of transportation. Created as vector in PSD format, including loads of details. 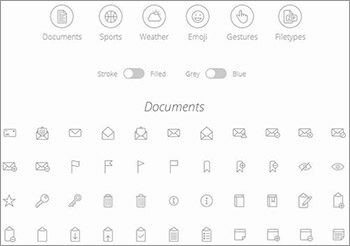 Outline Icons – A huge package of literally thousands of minimalist icons available for free, all coming with their respective vectorial PSD files. 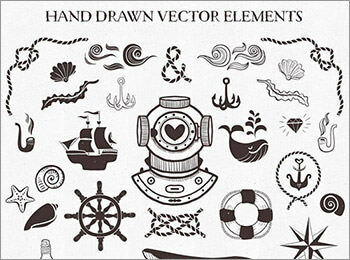 Nautical Vector Pack – Are you a lover of the sea? Here is a series of vector icons related to the sea that includes animals, objects and more. 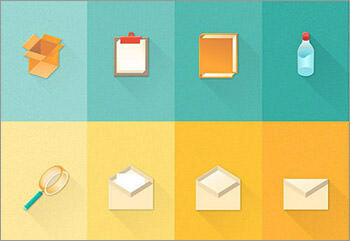 Solid Icons – Here we have an icon set of no less than 210 icons in PSD, PNG and SVG formats. 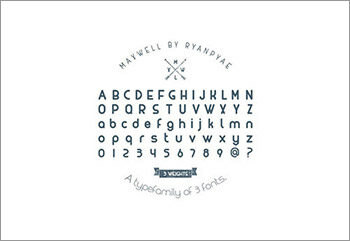 Cutlery – You won’t find many icon sets like this. Here we have a complete series of free cutlery icons for a home-and-kitchen-related project. 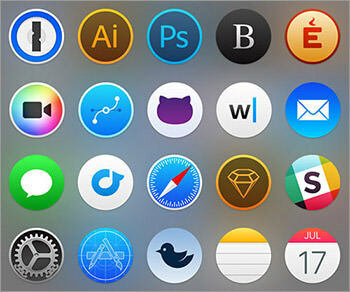 iOS 8 App Icons – A sweet pack of 30 application icons for the new iOS 8, available for Sketch. Camping and Recreation – A set of 40 icons with a particular topic. They have long shadows and a relaxed color palette, although you can modify the 4 different formats they come in at any time. Apple Watch Free Screen – A collection of the icons seen in the Apple Watch screen so far, all in vector shape. Education – A huge icon package containing 60 icons with one thing in mind: Education. Whether it has to do withs maths or books, you’ll probably find it here. Anicons – An exciting icon library for people who work with anything related to animated content.